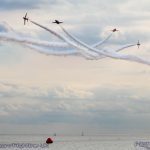 Clacton enjoyed its biggest ever airshow in 2017 with 250,000 visiting the Essex seaside town for the annual event. 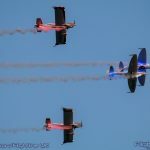 Held on its traditional Thursday and Friday before the long August Bank Holiday weekend, the show for the second time held a spectacular evening flying display on the opening day and enjoyed good weather throughout. 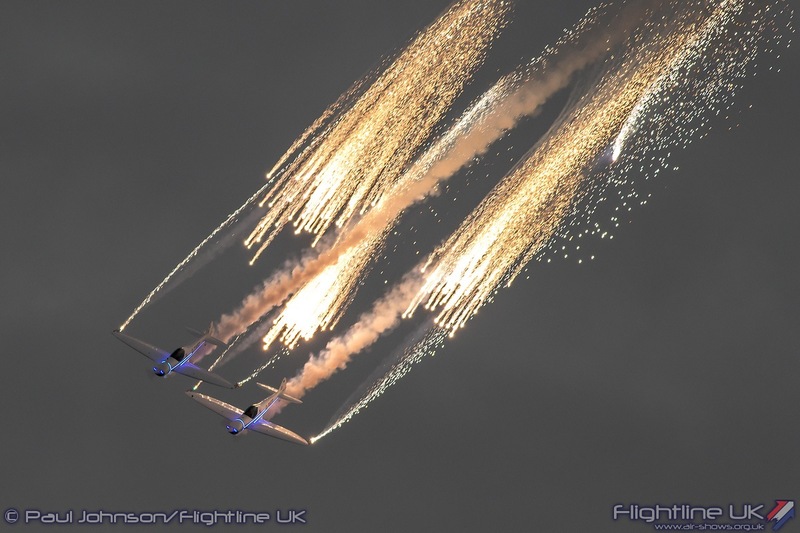 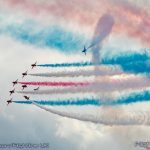 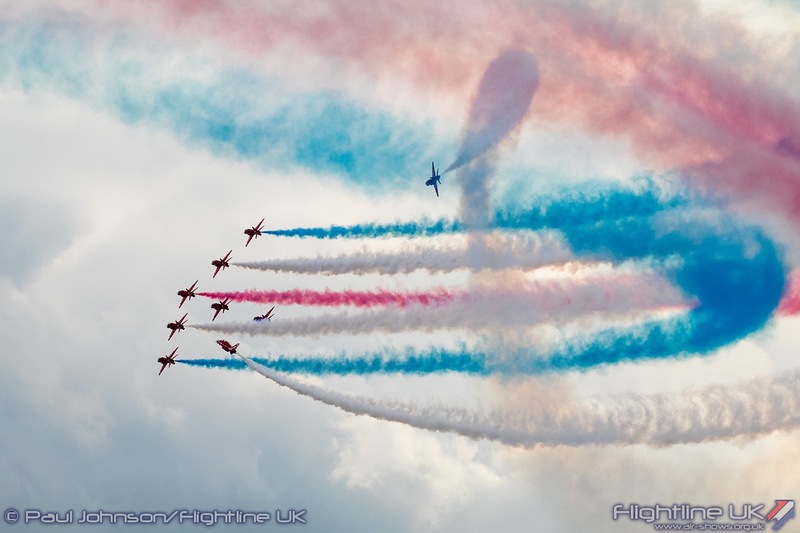 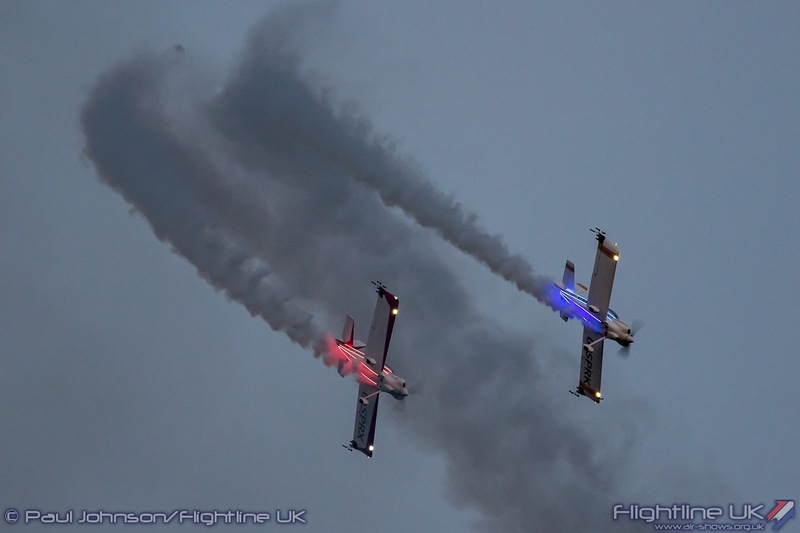 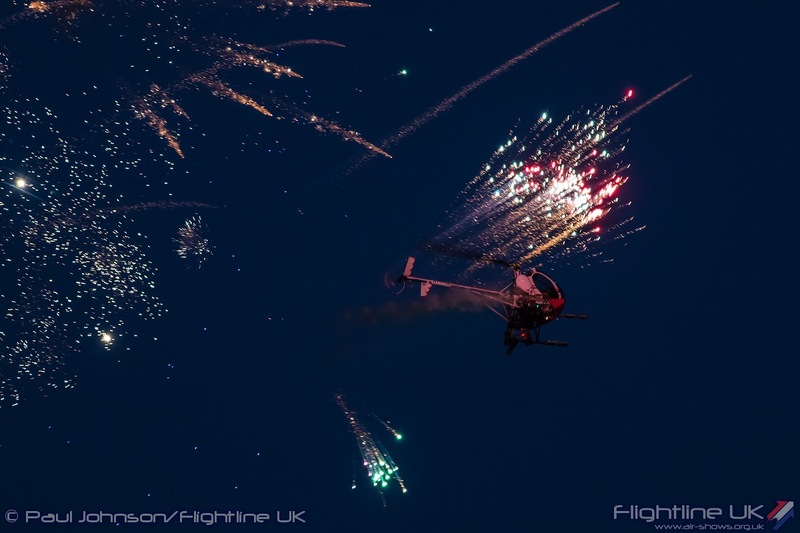 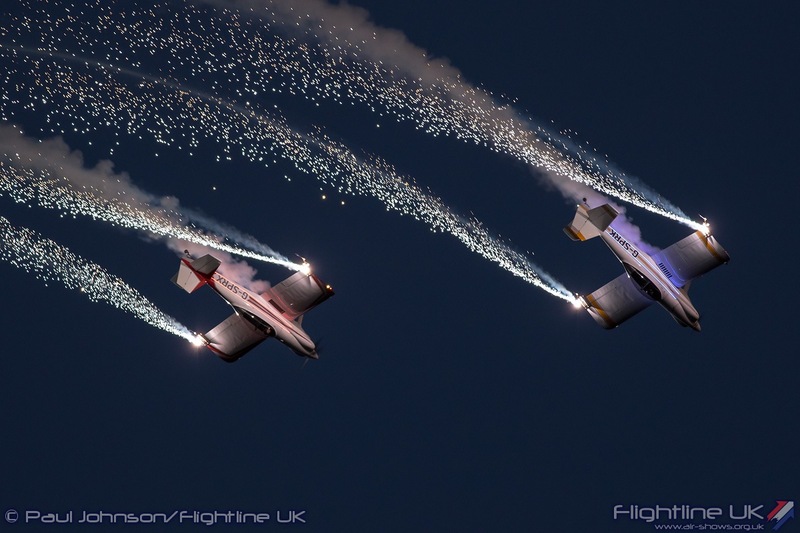 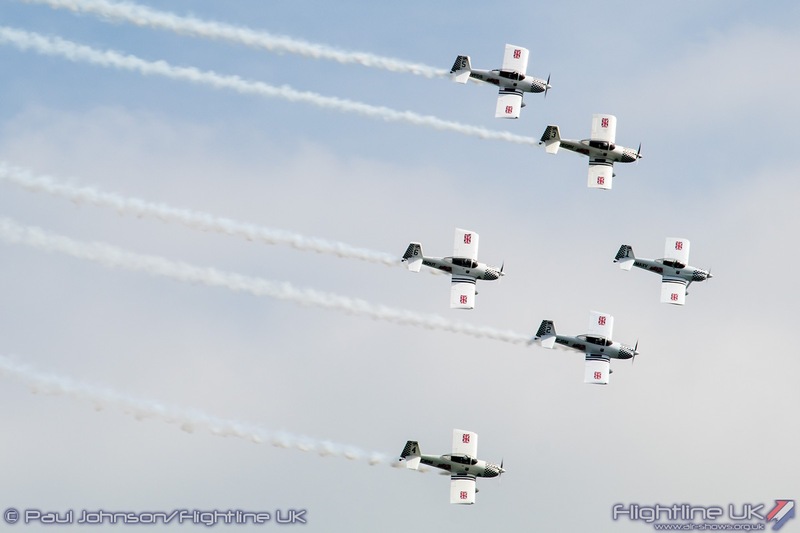 Clacton Airshow is one of the longest running seaside airshows having celebrated its 25th Anniversary last year. 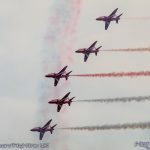 It is unusual in that it is held on a Thursday and Friday but that helps extend the peak of the August Bank Holiday weekend for the town’s restaurants, bars and hotels. 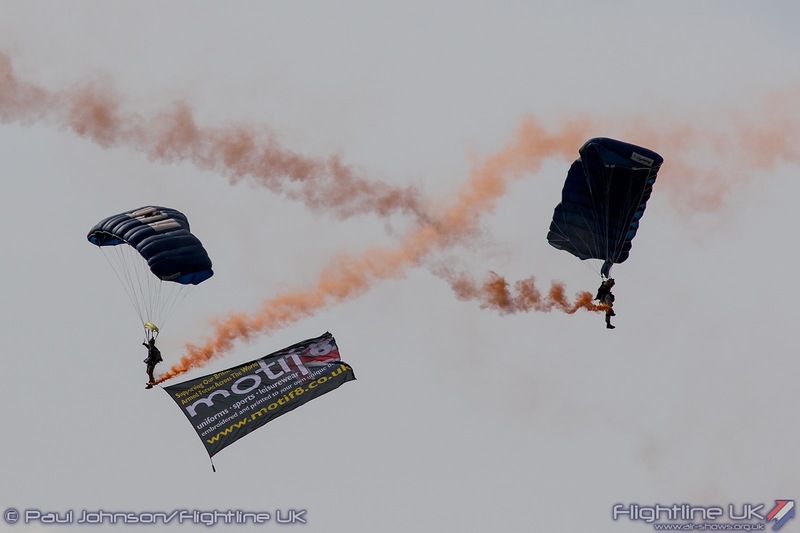 It is also currently Essex’s only major air display of the year. 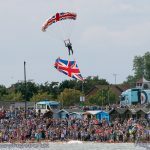 Recent years have seen the popularity of the event rise as some high profile participants such as the two Lancasters and the Avro Vulcan opened Clacton to a new audience and they have kept coming back as the show is very well connected to London and other major Essex towns via Road and rail links. 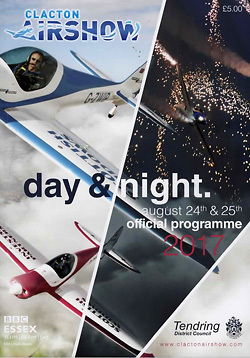 2017 was perhaps the biggest and most successful event to date with an estimated 250,000 visitors over the two days. 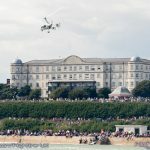 The show takes place along the attractive Marine Parade and Greensward. 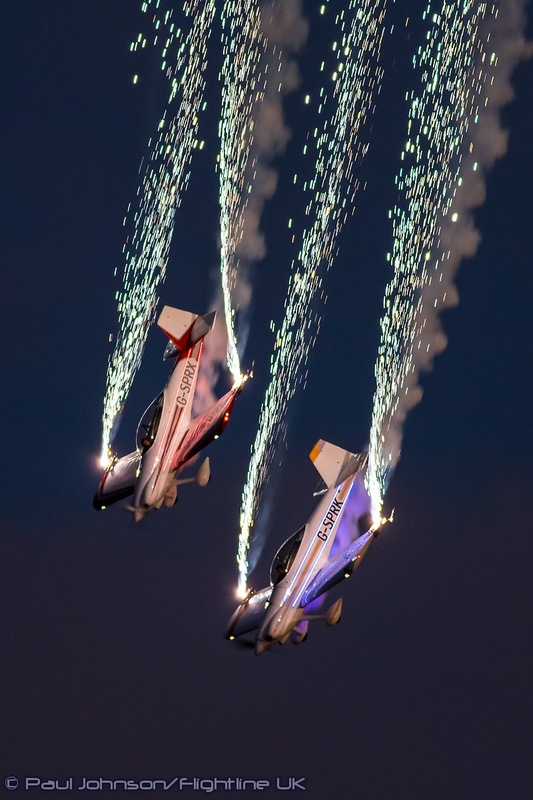 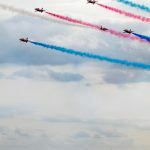 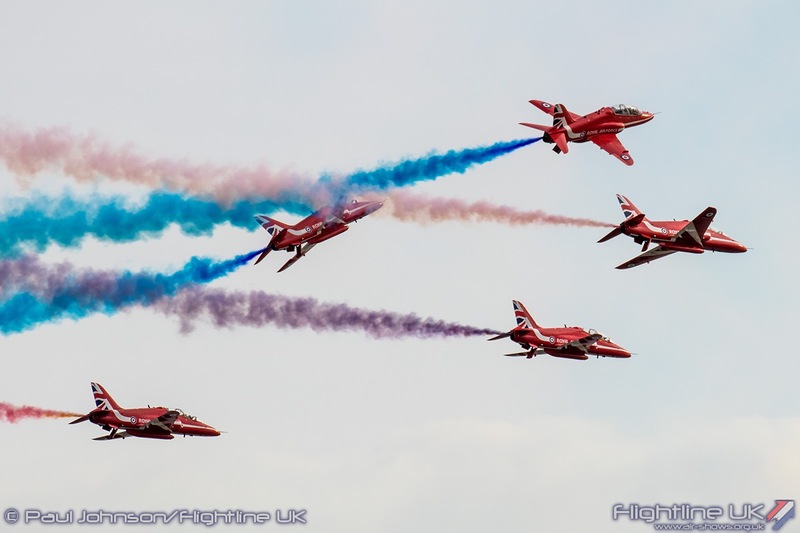 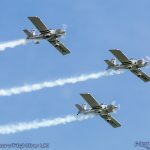 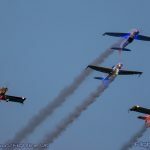 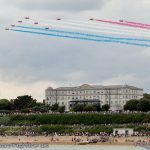 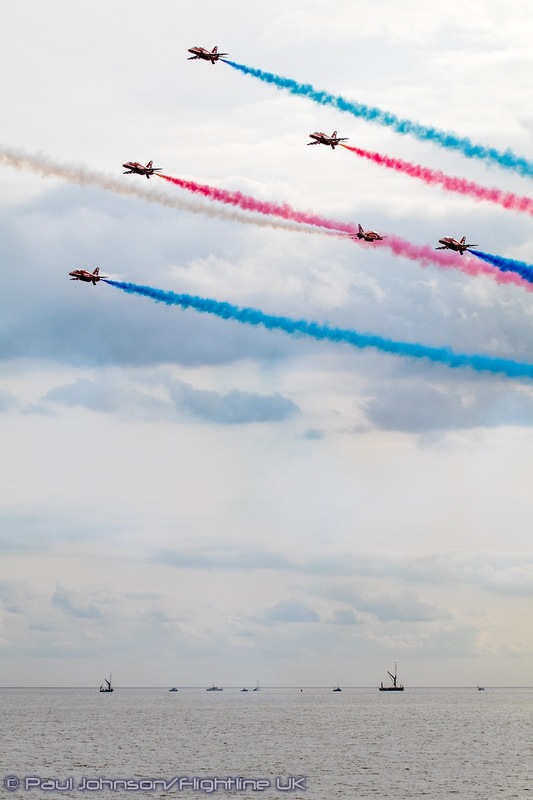 A lawn area between the road and the seafront is home to a showground where you’ll find all the usual stands that you’d expect at a seaside airshow ranging from RAF Charities through to local businesses. 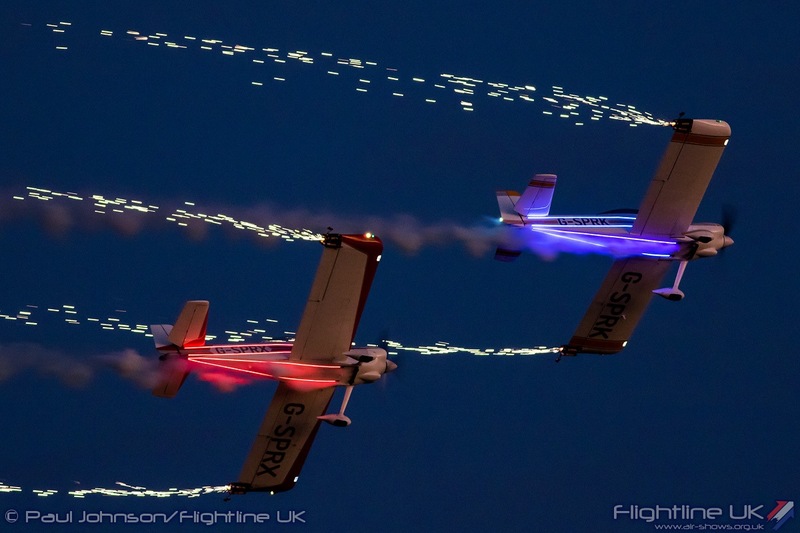 Clacton boasts a number of different options to view the flying action too. 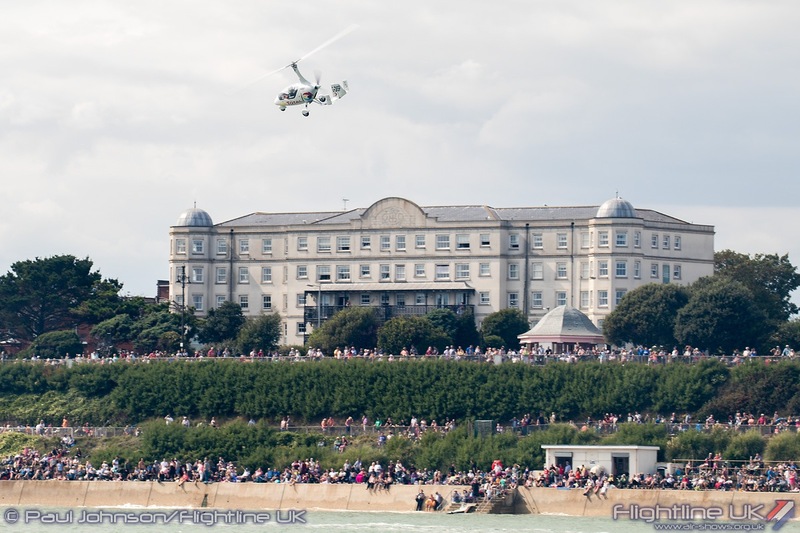 The sandy beaches are very popular as are the promenades along the cliffs. 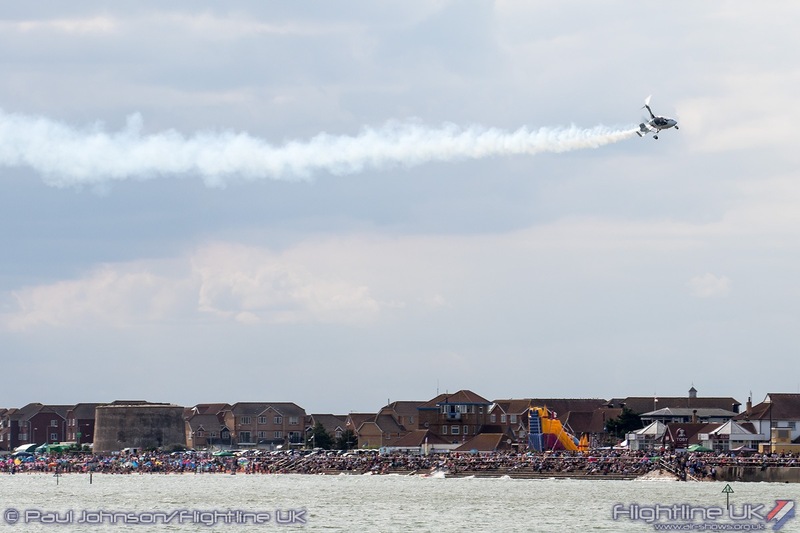 Clacton’s Pier offers a very unique viewing point looking back at the beaches and along the display lines. 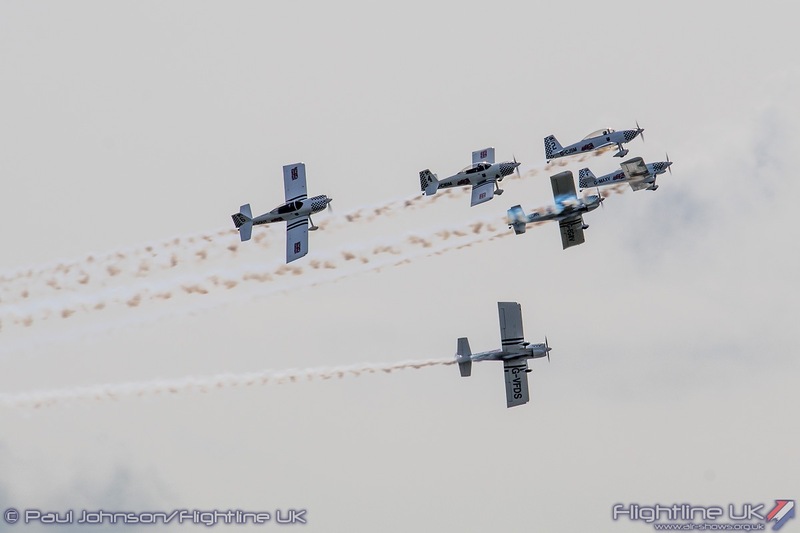 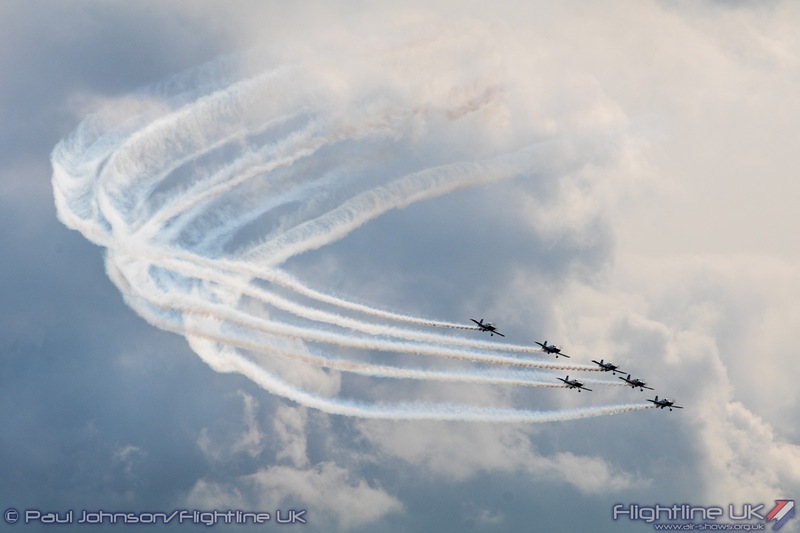 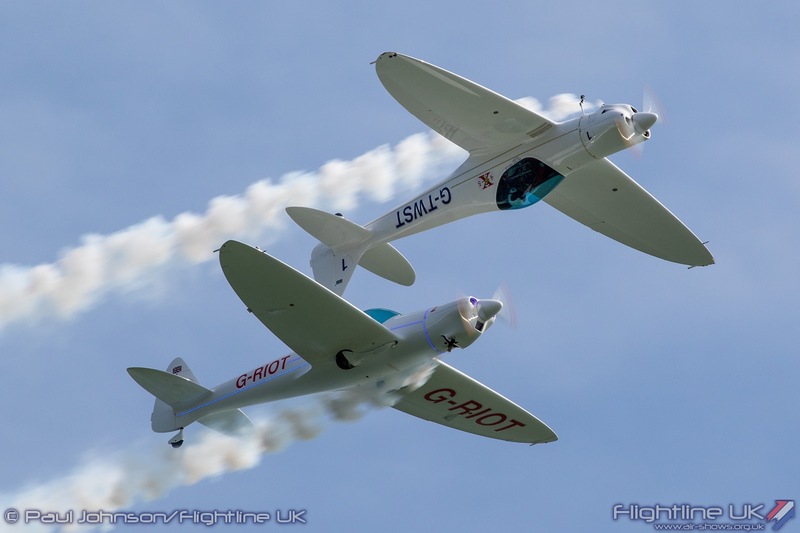 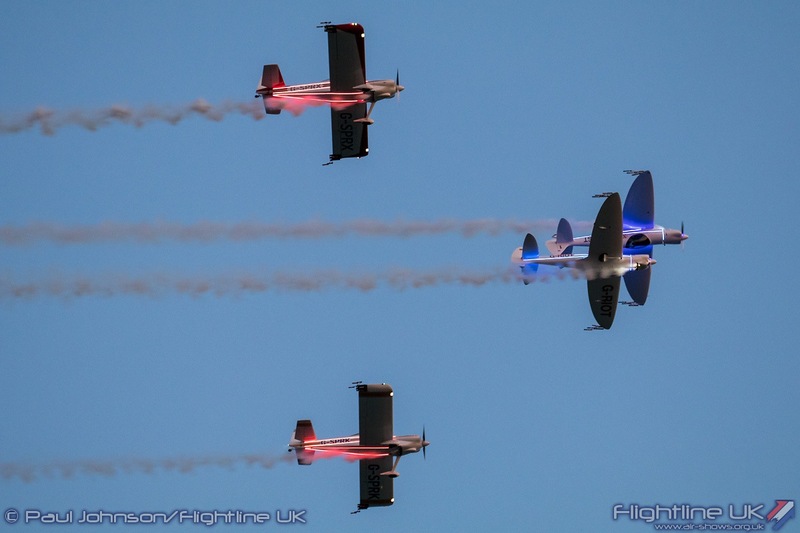 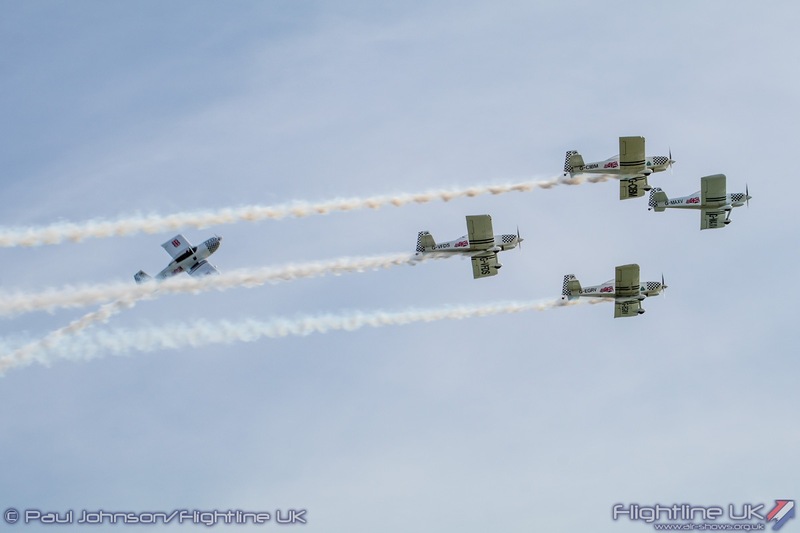 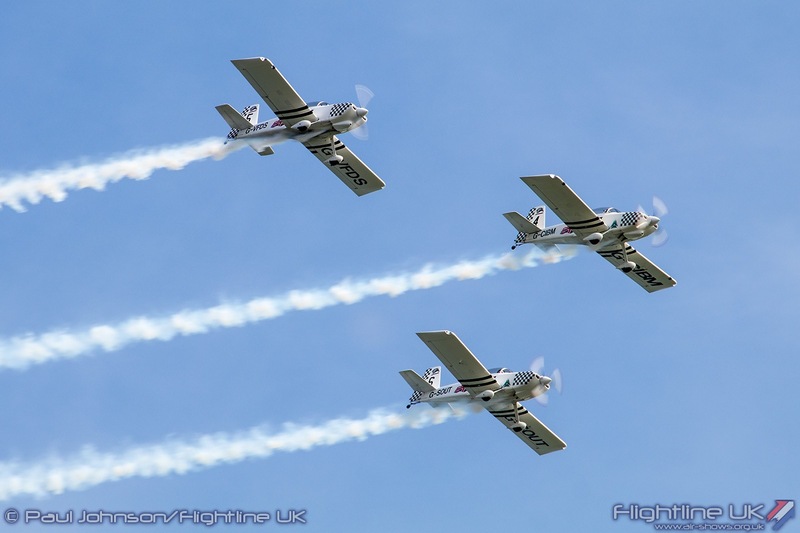 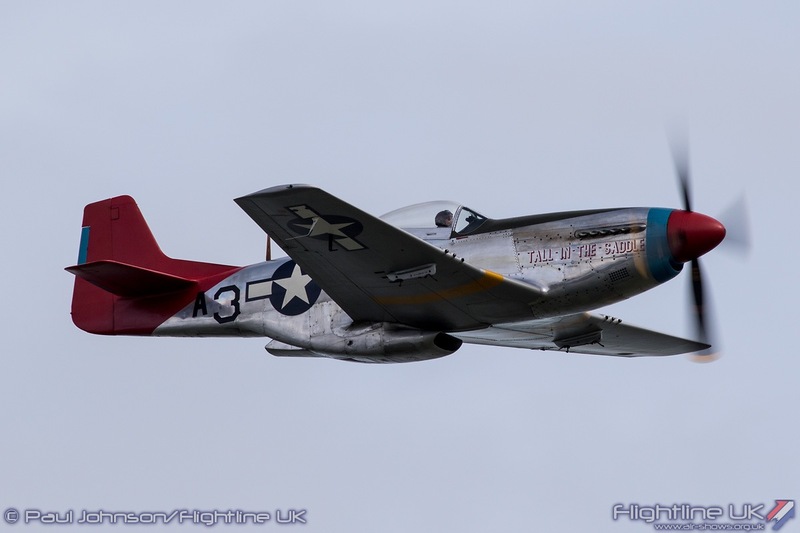 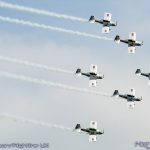 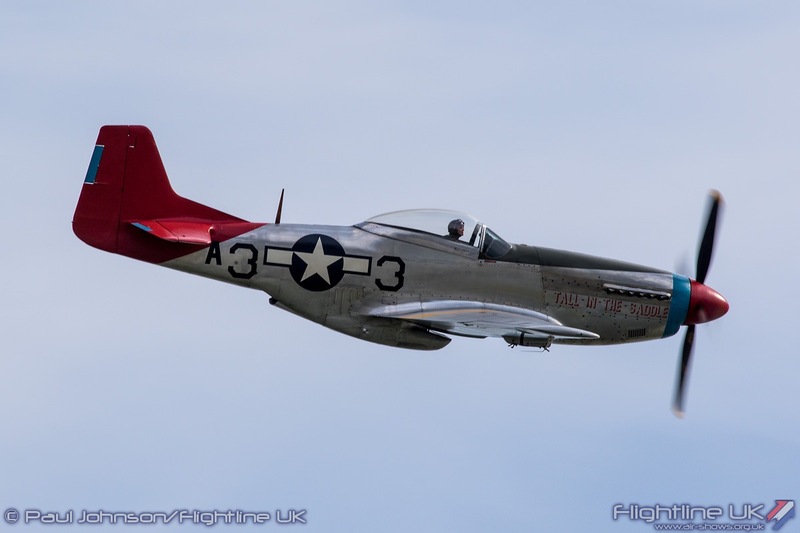 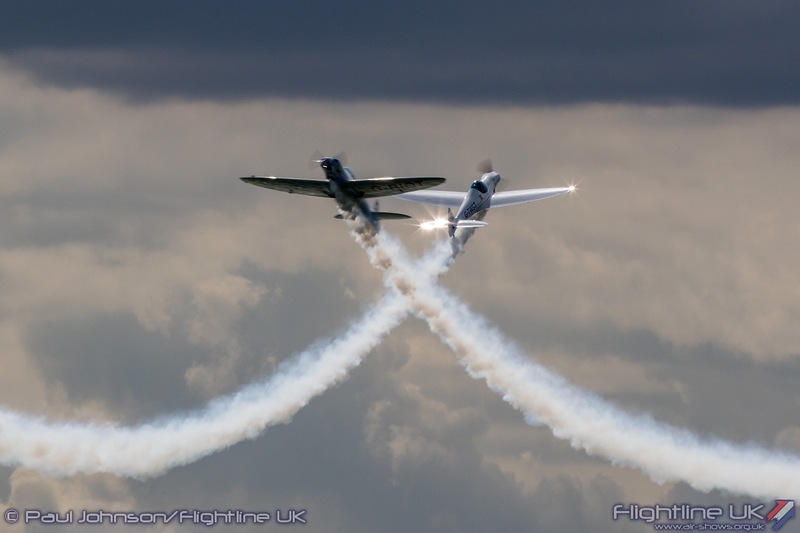 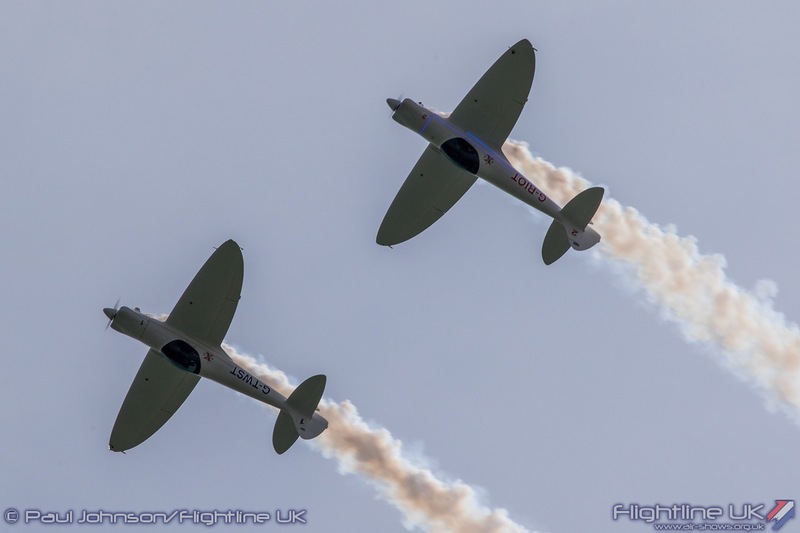 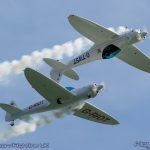 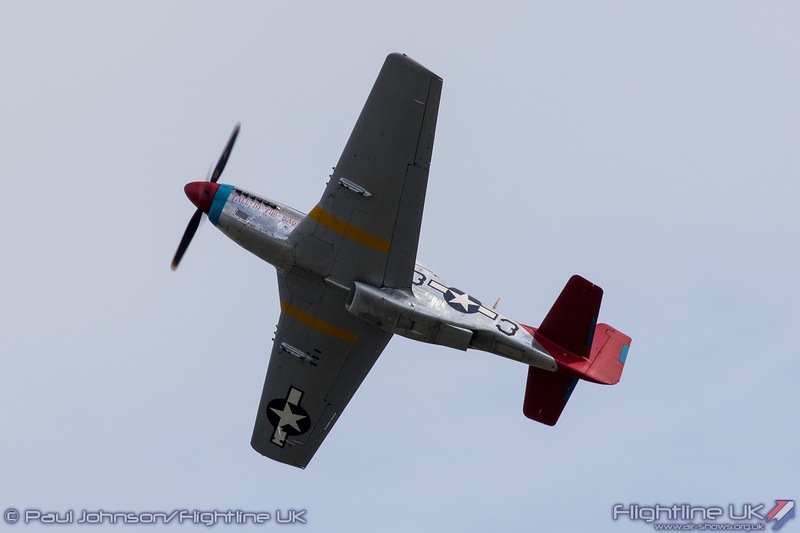 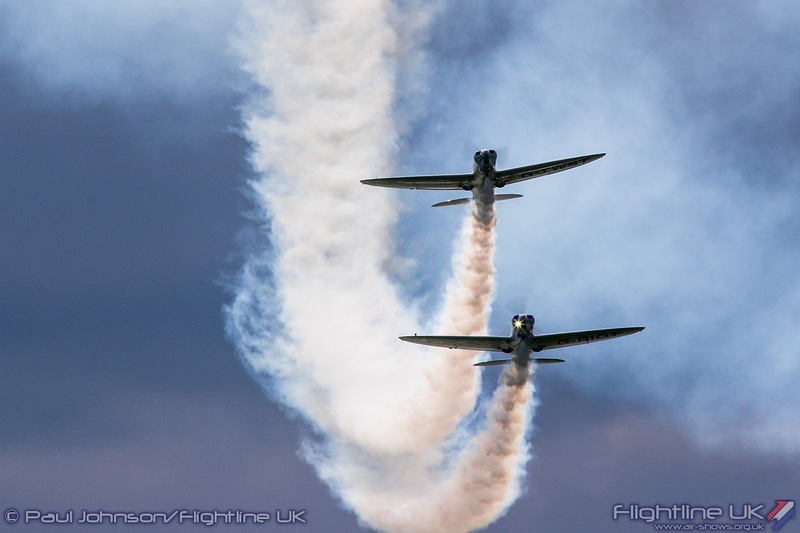 The main afternoon flying displays feature many UK airshow favourites and cover a wide range of aircraft from aerobatic and rotary types through to classic jets and warbirds. 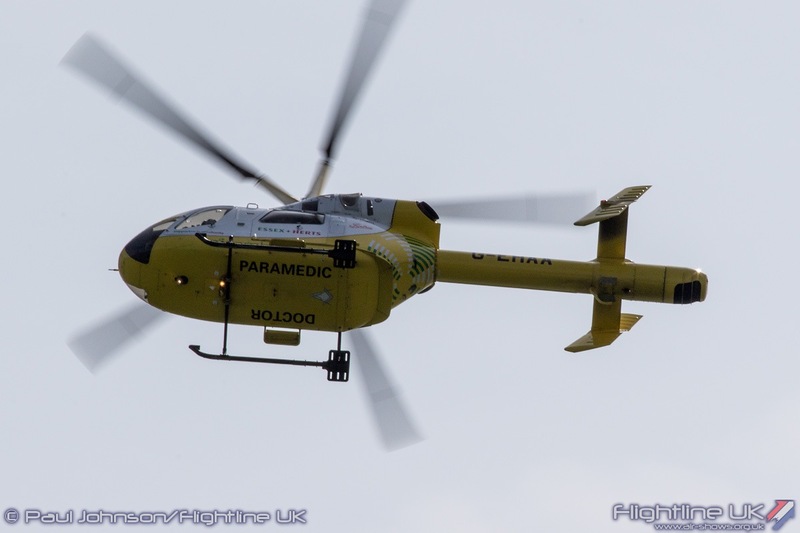 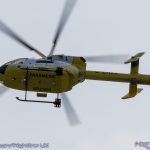 Each days flying display was opened by the Essex and Hertfordshire Air Ambulance MD Helicopters MD900 Explorer performing a flypast and hover . 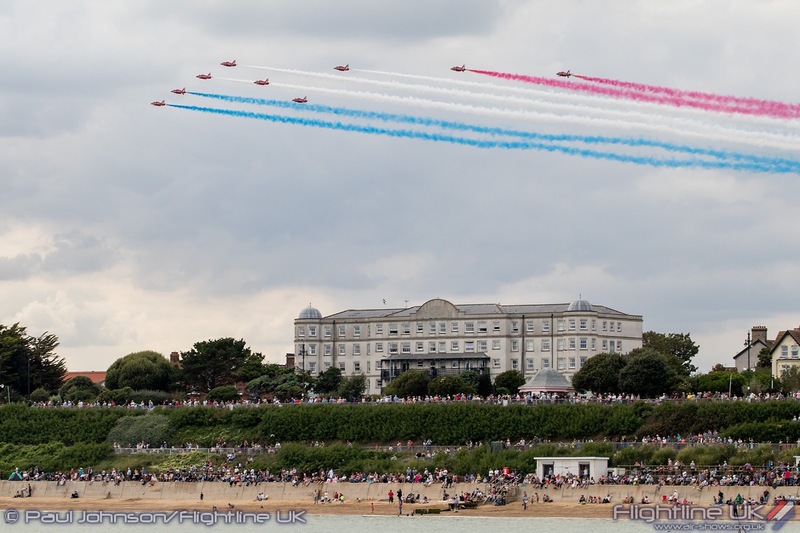 Seaside airshows are always popular venues for the military. 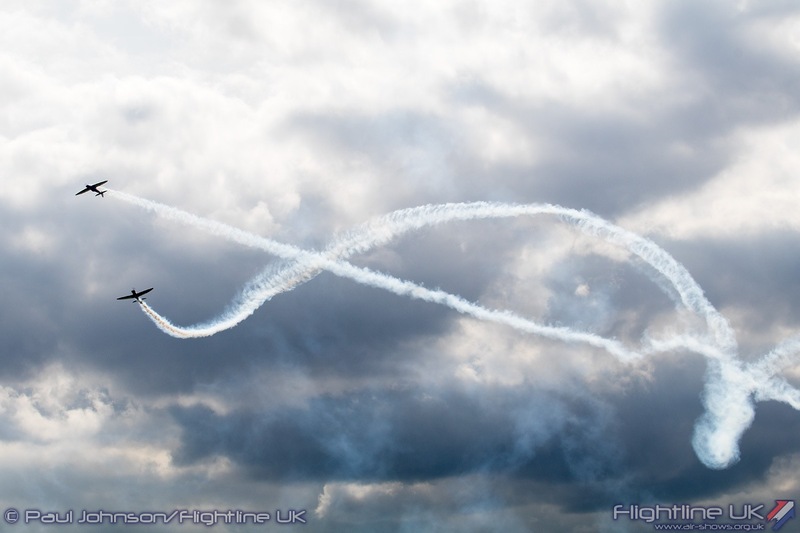 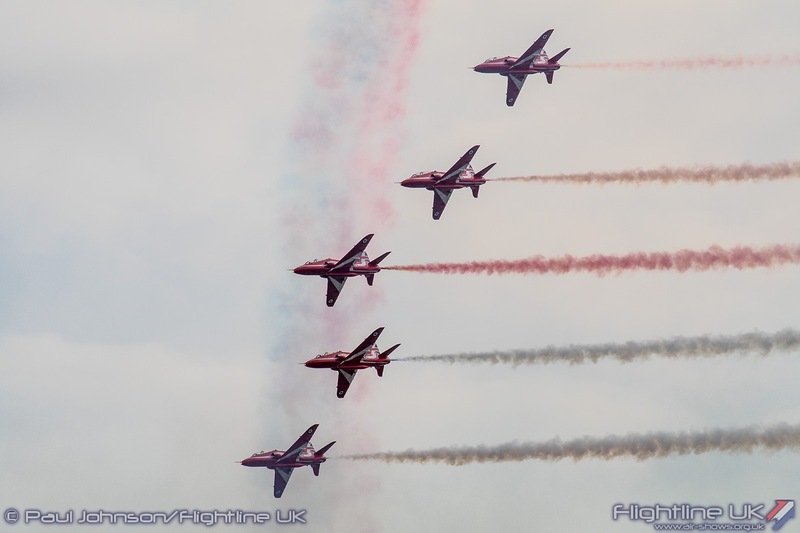 The main attraction of the flying display was of course the Royal Air Force Aerobatic Team, the Red Arrows. 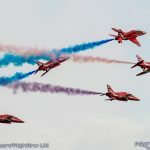 It is at venues that you really see the pride and affection the team invoke in the public with noticeable reactions as the team perform their various formations and passes. 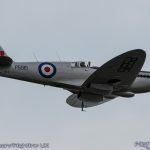 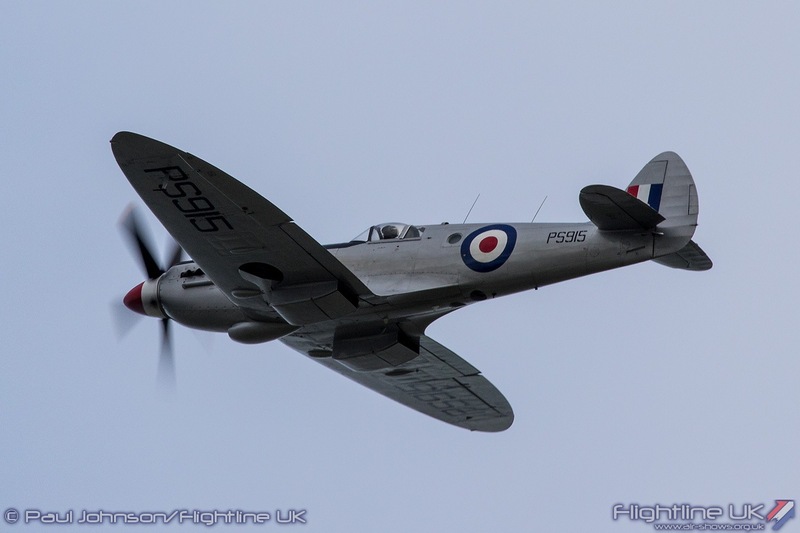 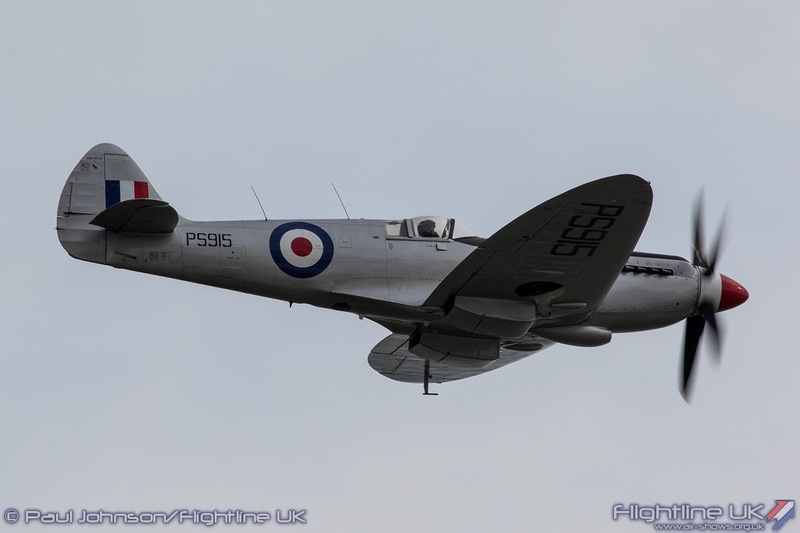 Equally important to event like Clacton are the Battle of Britain Memorial Flight who despite some difficulties with their merlin engine fleet managed to send their Supermarine Spitfire PRXIX PS915 for a solo display on both days. 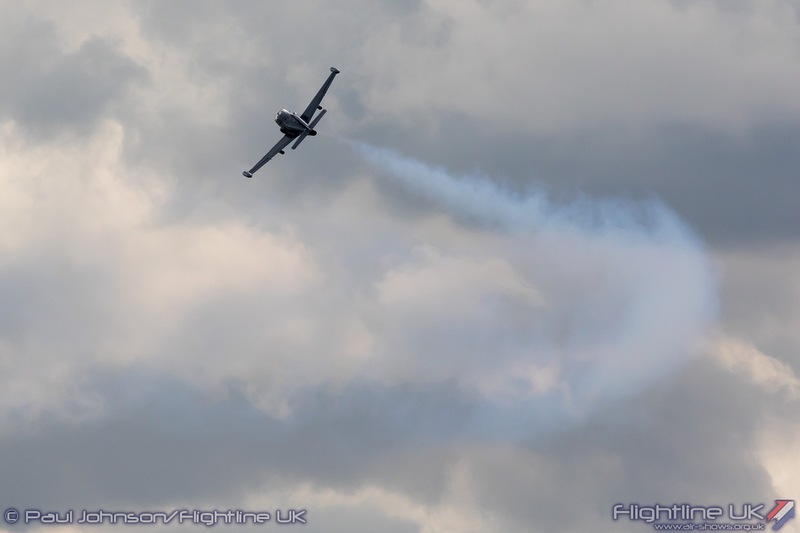 Completing the RAF participation was the Grob Tutor T1 flown by Sqn Ldr Andy Tagg on the Friday. 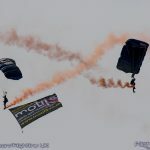 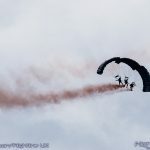 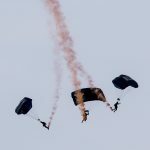 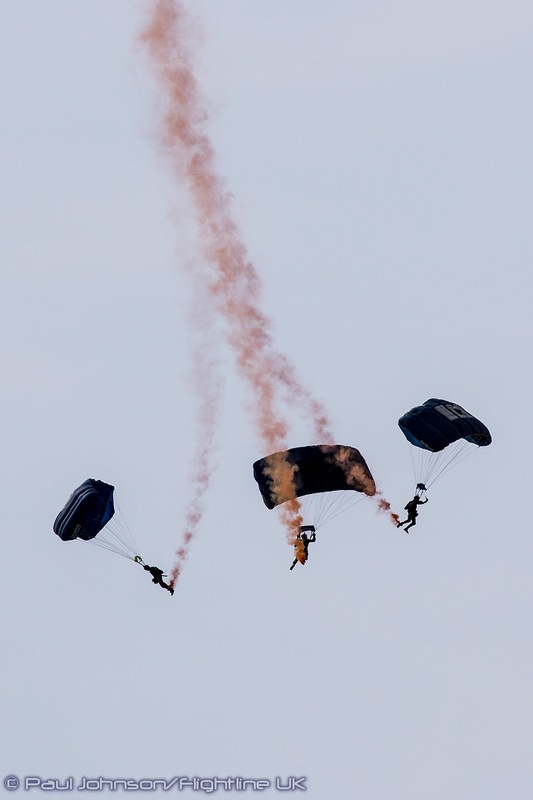 The honour of opening Thursday’s display and providing the finale to Friday’s display went to the British Army’s Tigers Freefall Parachute Display Team from the Princess of Wales Royal Regiment. 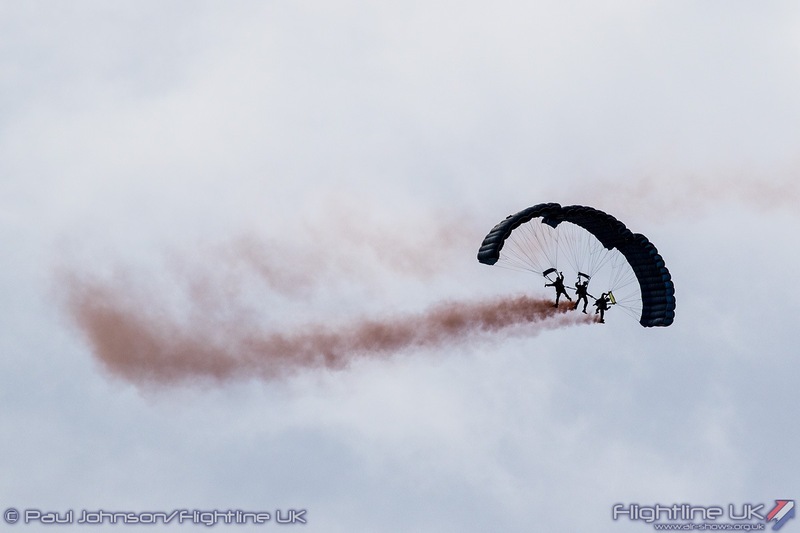 The team are one of the most enthusiastic on the circuit jumping in all sorts of weather into some very different drop zones. 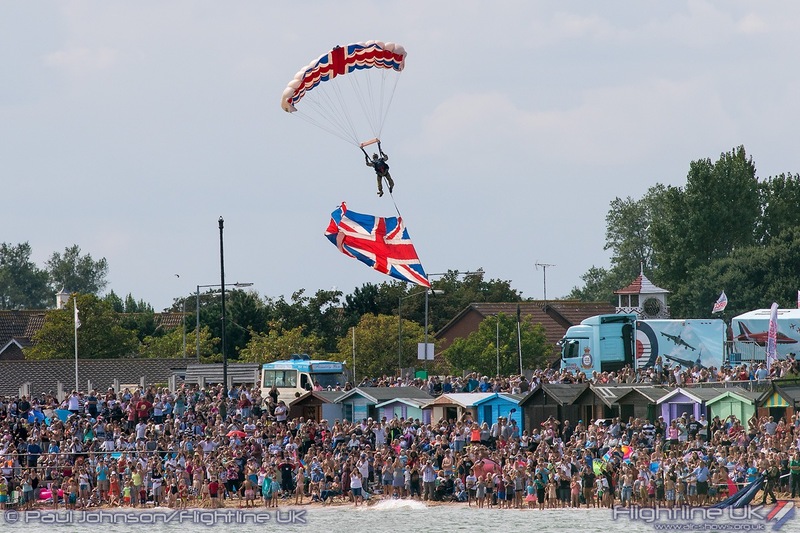 The tides at Clacton this year made things a little difficult for them being high throughout the day. 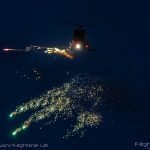 However this didn’t deter them as the dropped into the water just off the beach flying various flags and trailing coloured smoke. 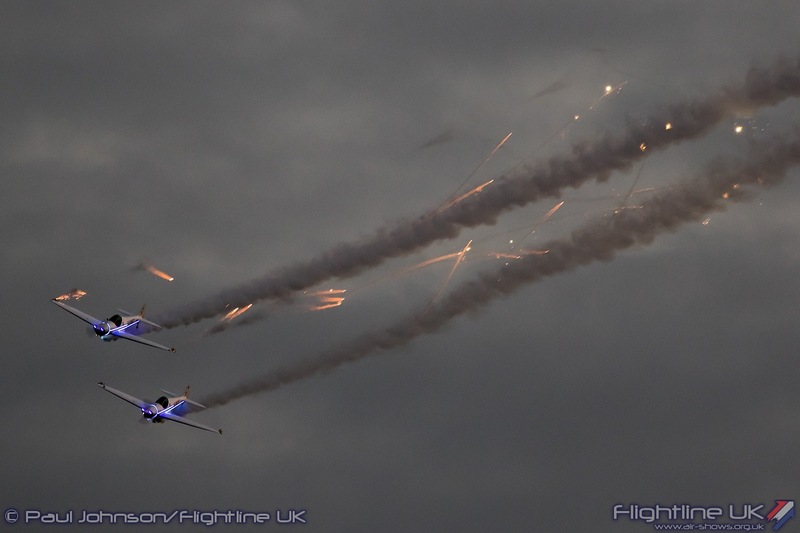 As always, there was a good selection of civilian displays in the afternoon displays. 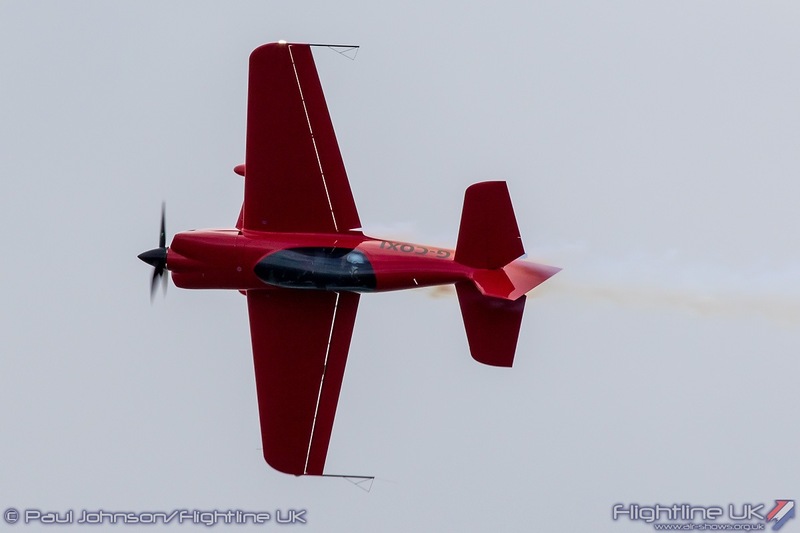 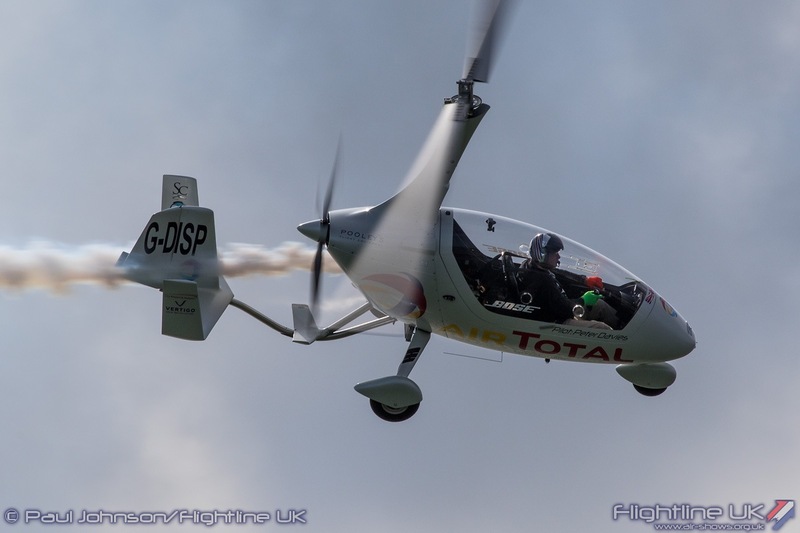 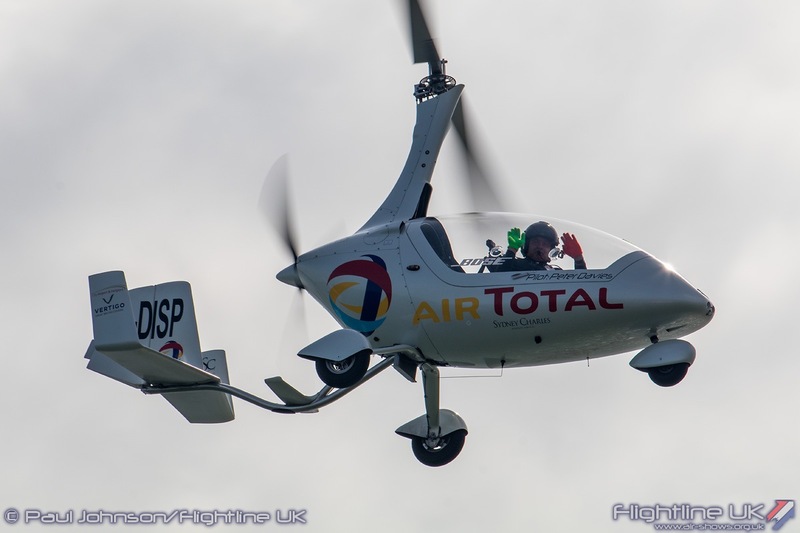 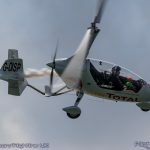 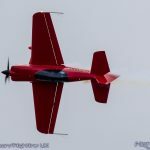 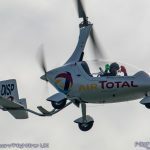 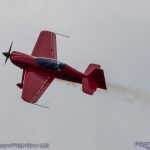 Gerald Cooper amazed everyone with his freestyle aerobatics in a bright red XtremeAir XA42 while Peter Davies gave everyone a really nice close up display in his Rotorsport Calidus. 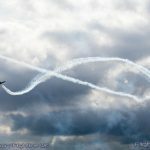 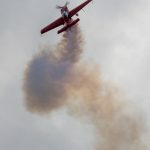 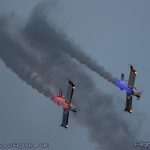 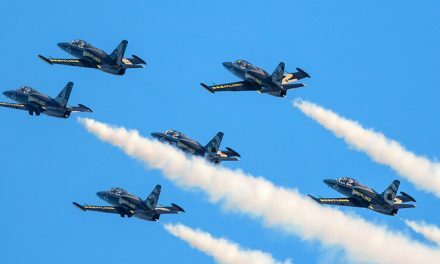 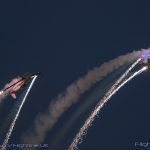 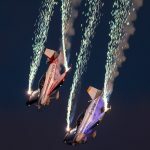 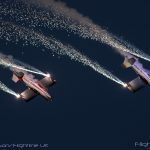 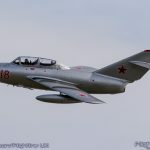 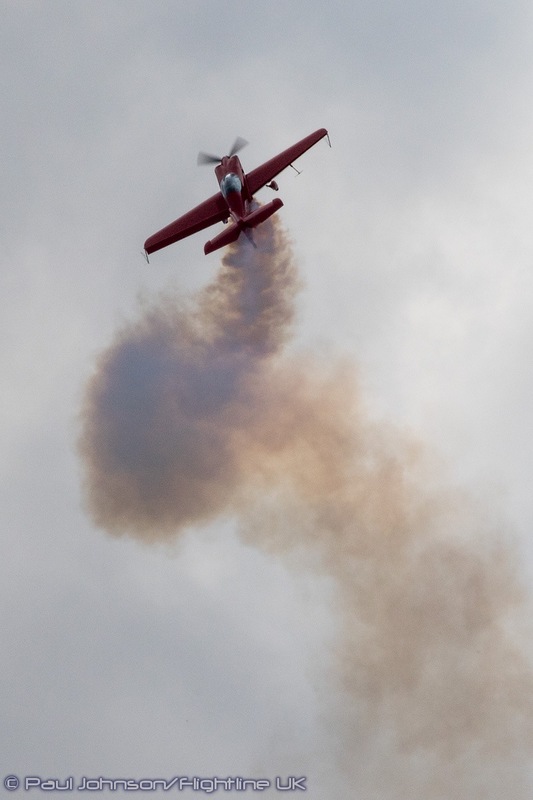 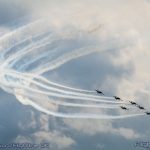 Both the Twister Aerobatics Team and Fireflies Aerobatics Team performed close formation duo aerobatic routines on Thursday and Friday respectively. 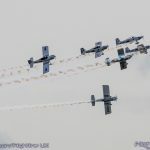 Team Raven displayed on both days operating from Clacton Aero Club and were the largest civilian formation of the afternoon. 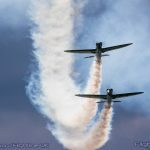 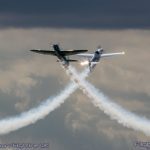 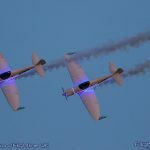 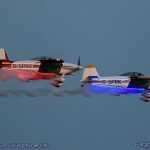 With their Vans RV4 and five RV8s they keep the action in front of the crowd throughout their display flying some very graceful figures. 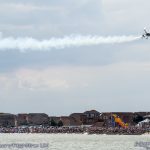 As the only airshow in Essex, Clacton is pretty much the home event for the Hangar 11 Collection. 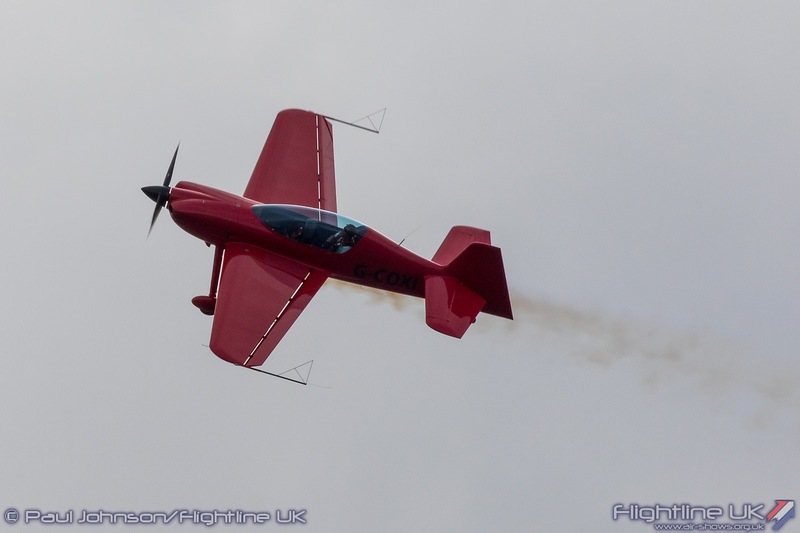 Peter Teichman flew graceful routines on both days of the event, but with different aircraft each day. 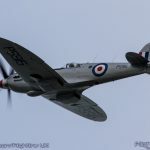 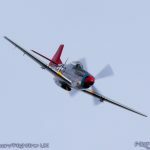 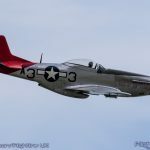 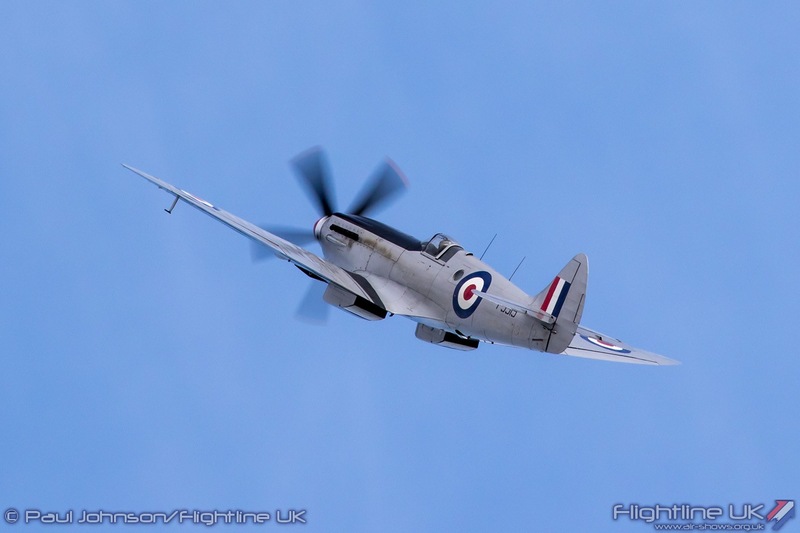 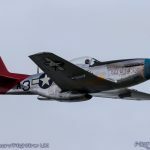 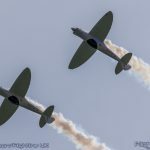 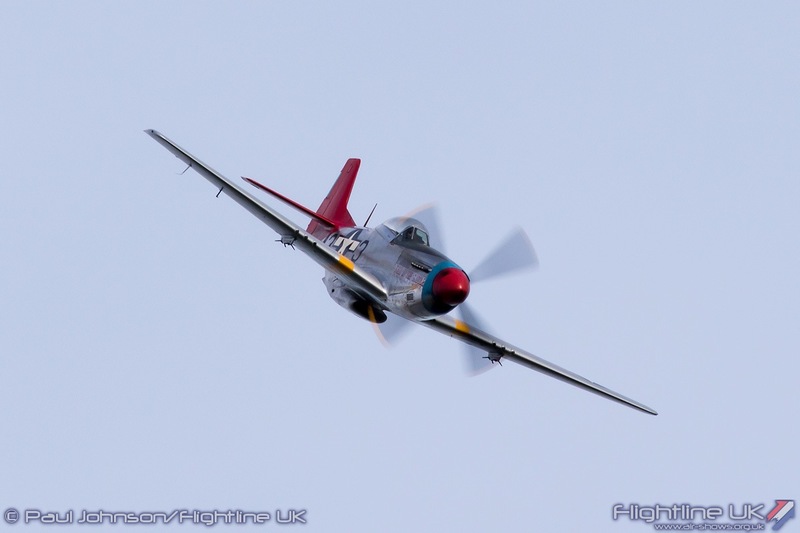 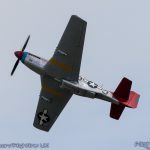 Thursday was the turn of the North American P-51D Mustang ‘Tall in the Saddle’ while Friday saw one of the first displays of the year by Hawker Hurricane IIb BE505. 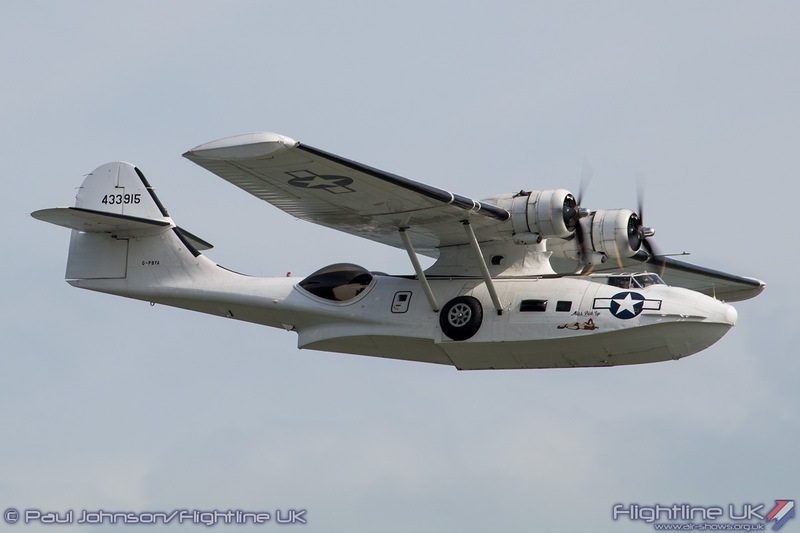 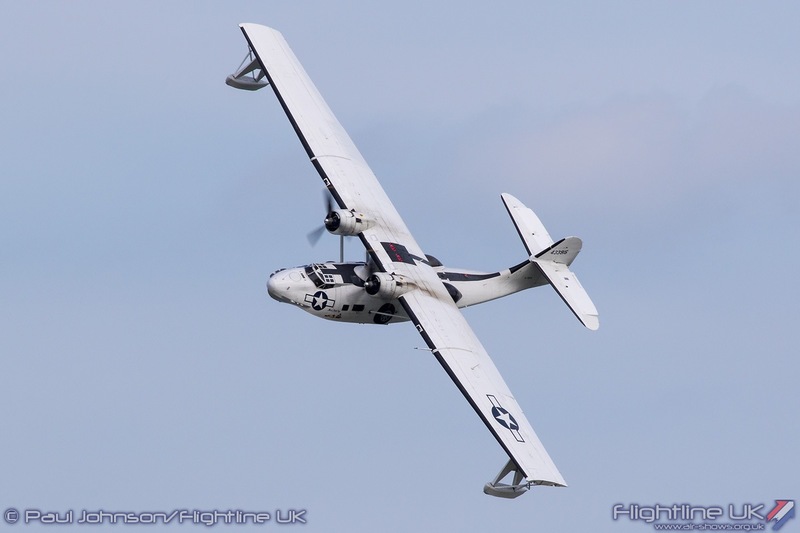 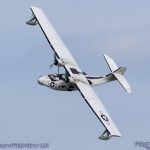 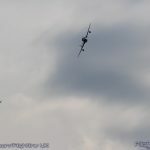 Joining the fighters was the Consolidated PBY-5A Catalina from Plane Sailing at Duxford. 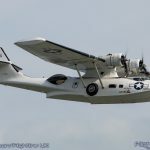 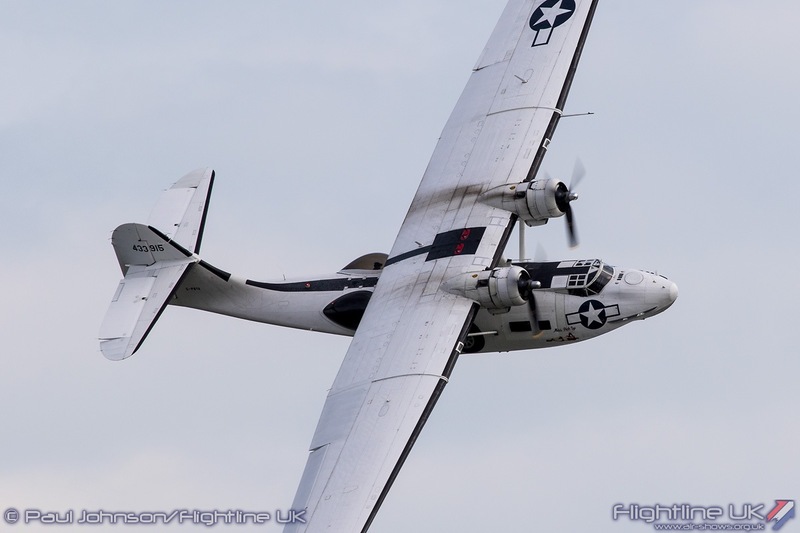 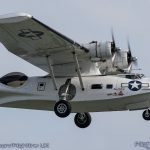 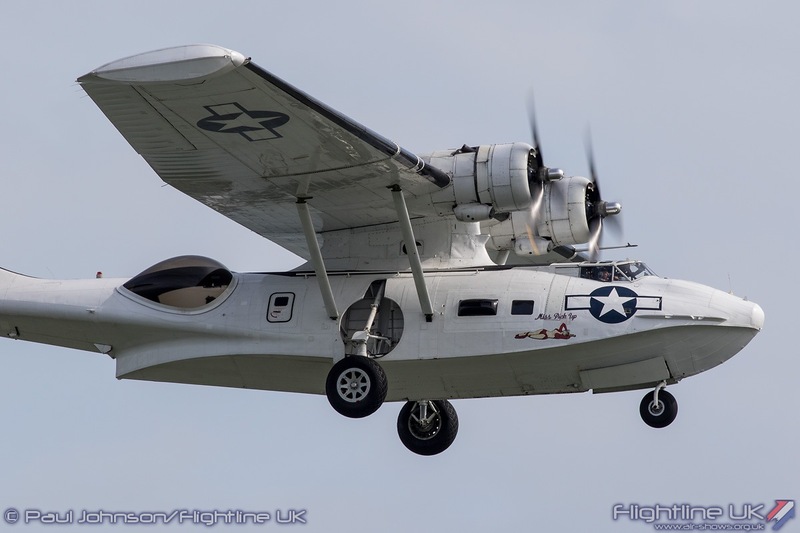 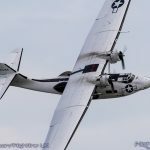 In the hands of Matt Dearden, the Catalina was a very impressive sight over the water the numerous wind turbines as its graceful lines were shown off to bet effect. 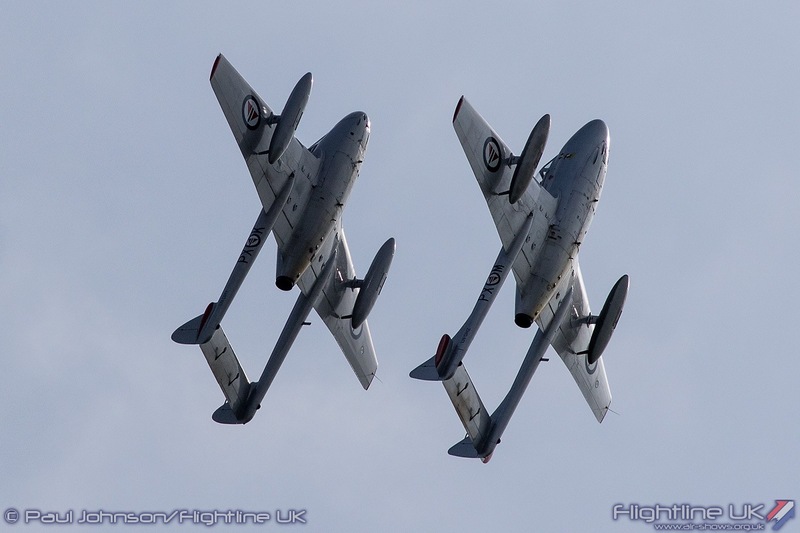 Clacton boasted an impressive contingent of classic jets in each afternoon’s flying display. 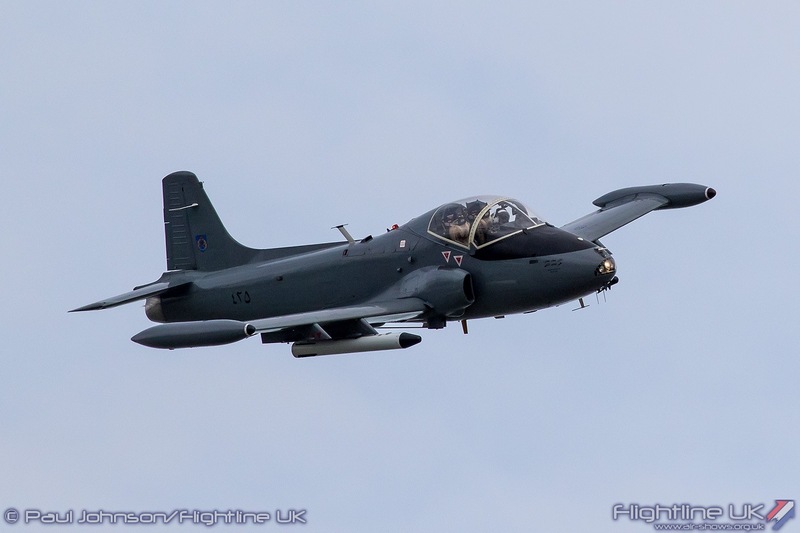 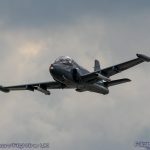 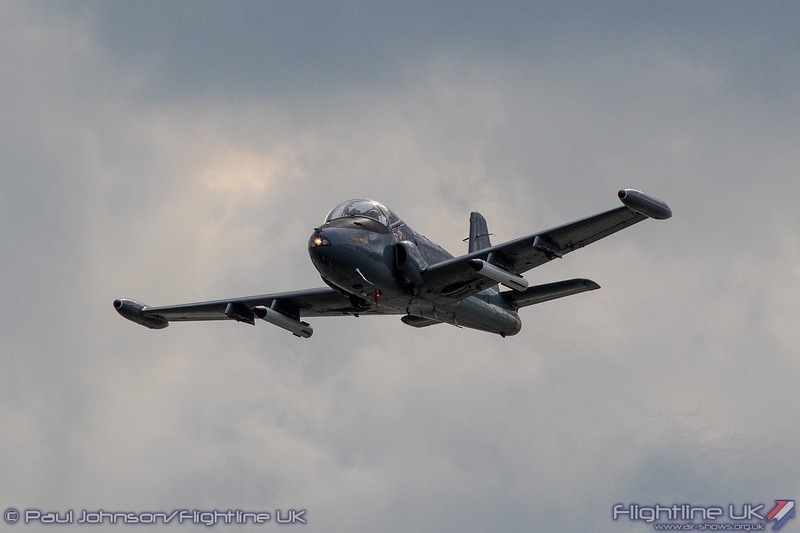 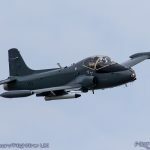 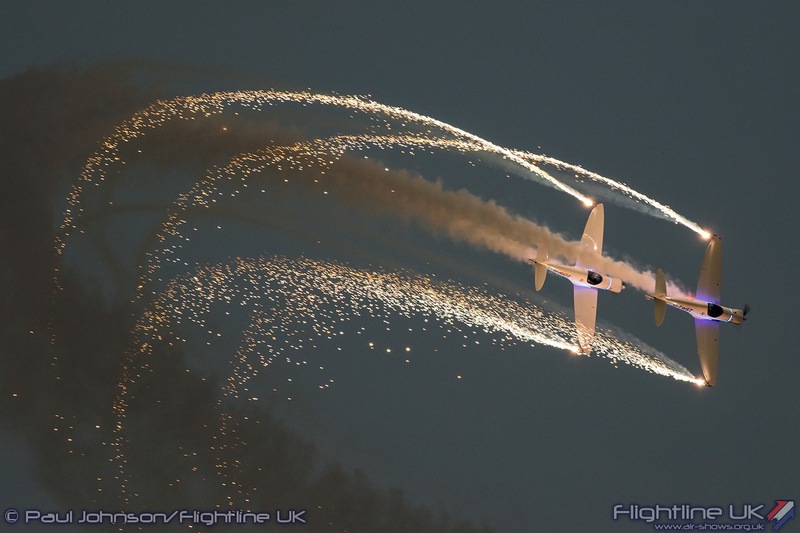 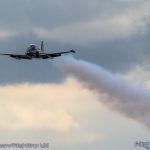 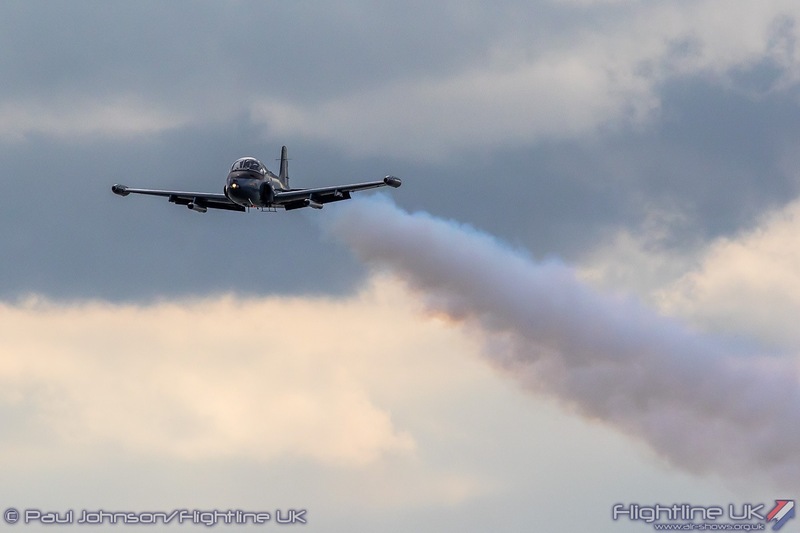 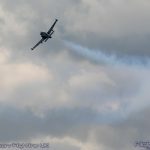 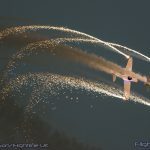 Mark Petrie continued a busy display season with a noisy solo display in his BAC Strikemaster Mk82a. 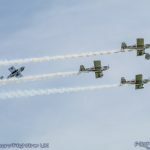 The Norwegian Air Force Historic Squadron had all three of their airworthy aircraft in the display. 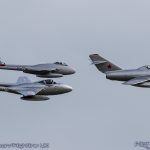 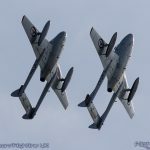 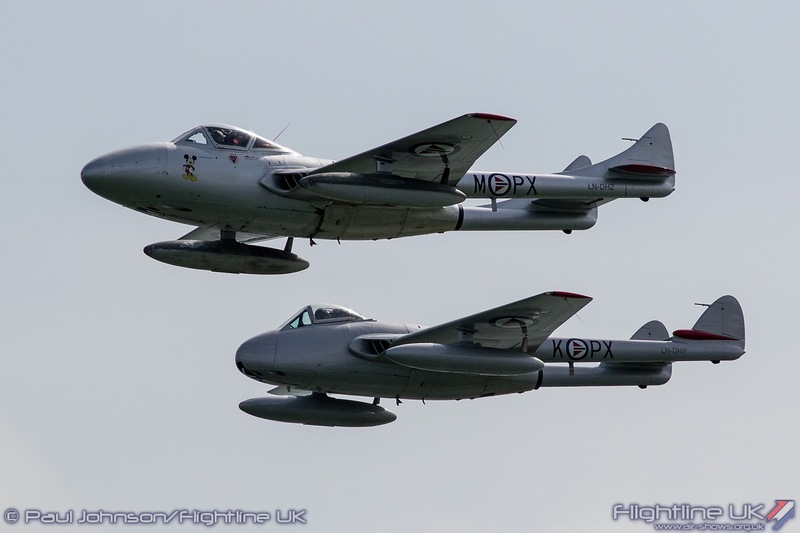 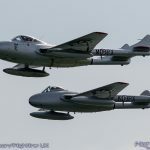 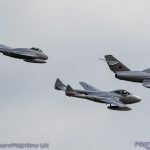 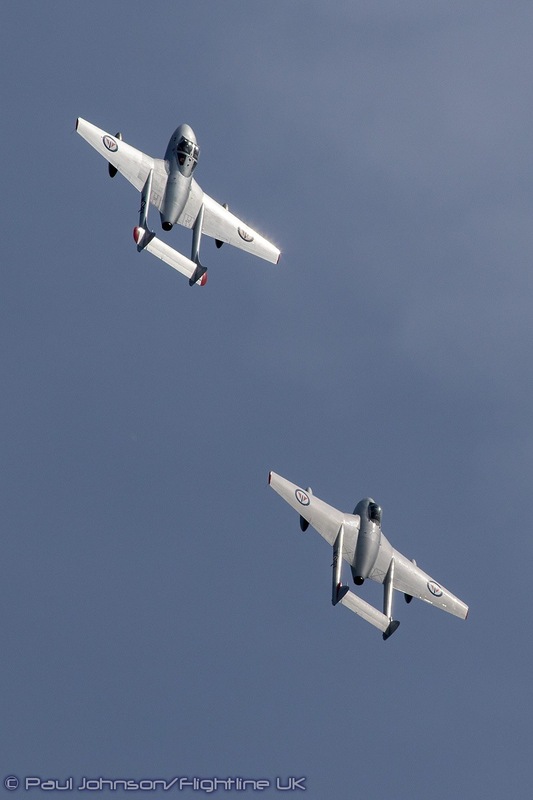 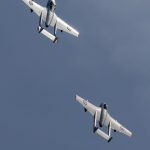 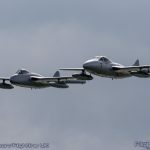 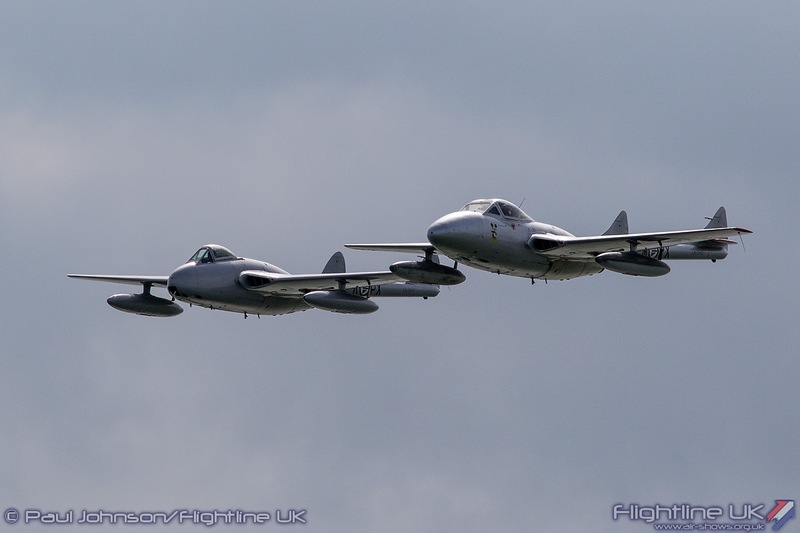 Towards the beginning of each days flying, the Squadron displayed their pair of de Havilland Vampire FB52 and Vampire T55 through a routine of elegant formation aerobatics. 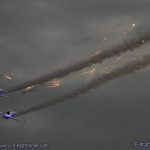 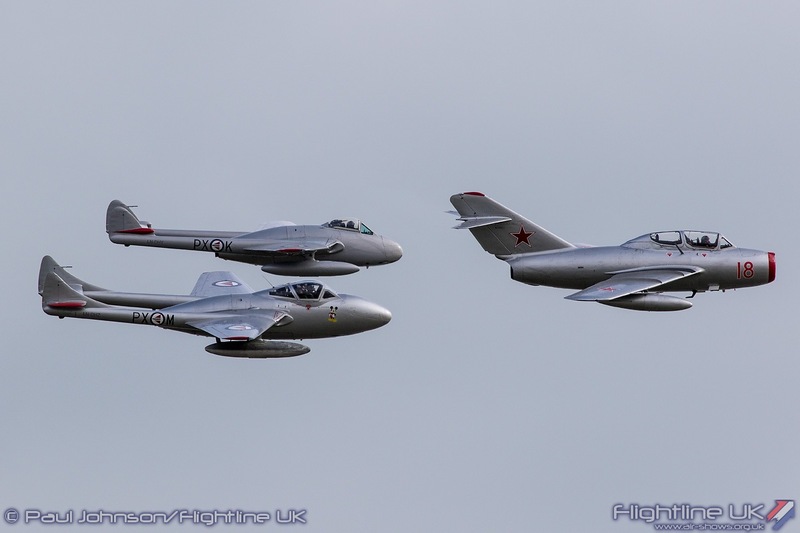 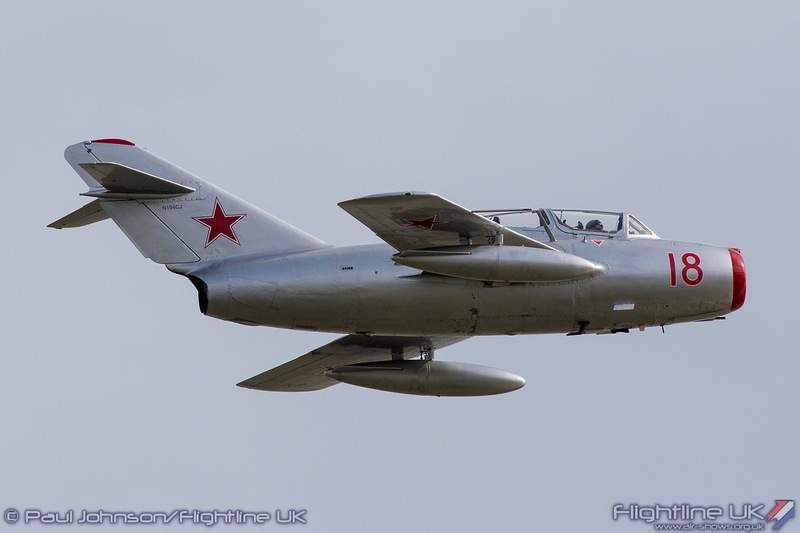 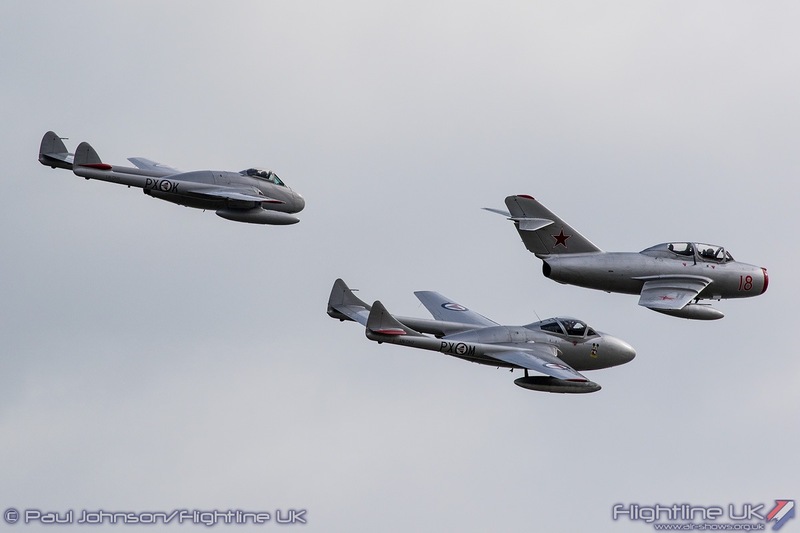 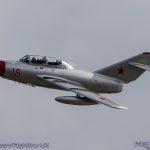 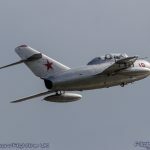 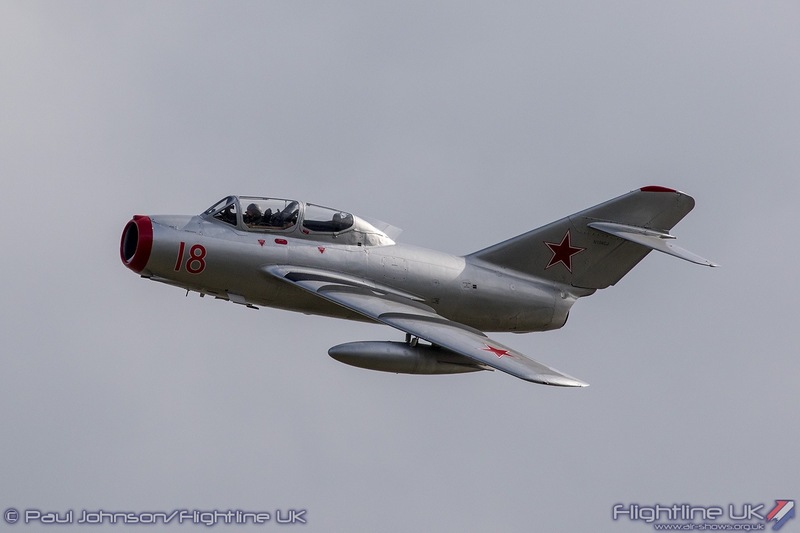 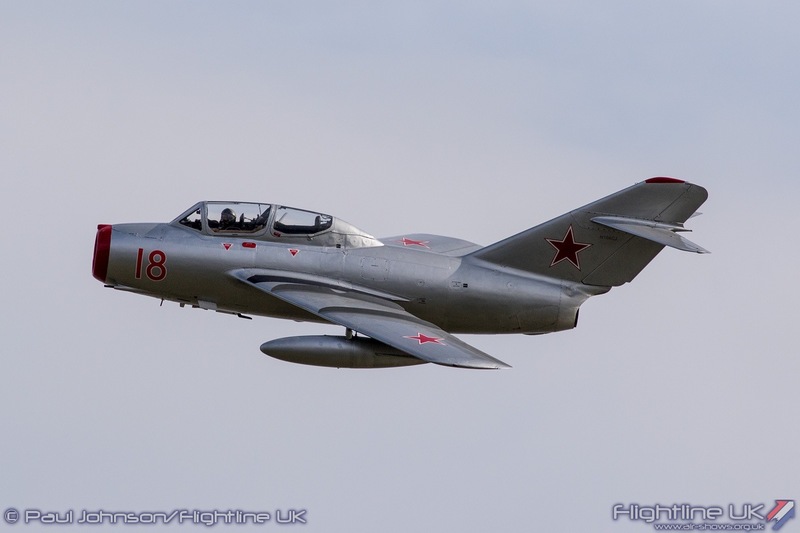 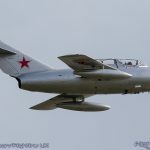 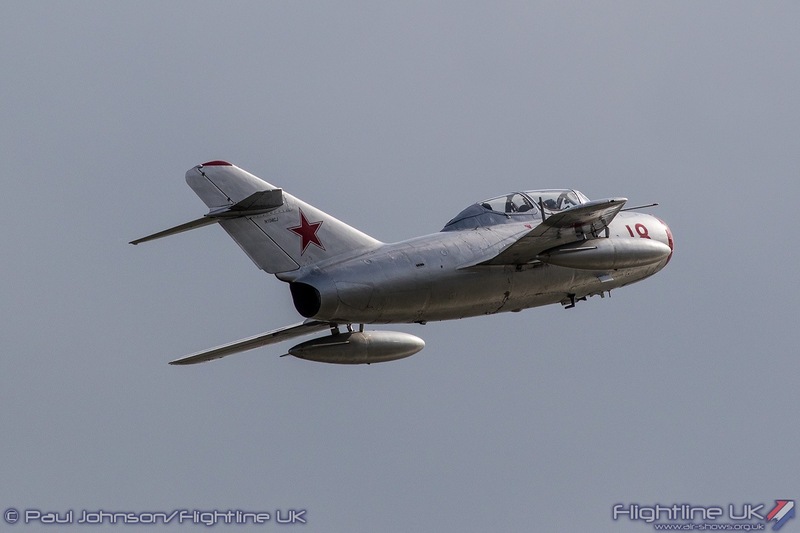 Later the Squadron’s Mikoyan-Gurevich MiG-15UTi performed a solo display before being joined by the Vampires for an eye-catching simulated dogfight as well as formation passes and tail-chasing. 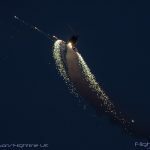 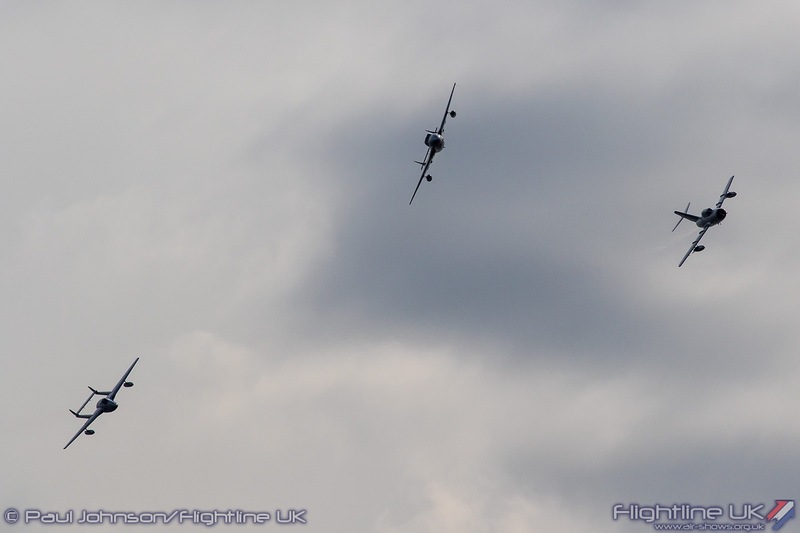 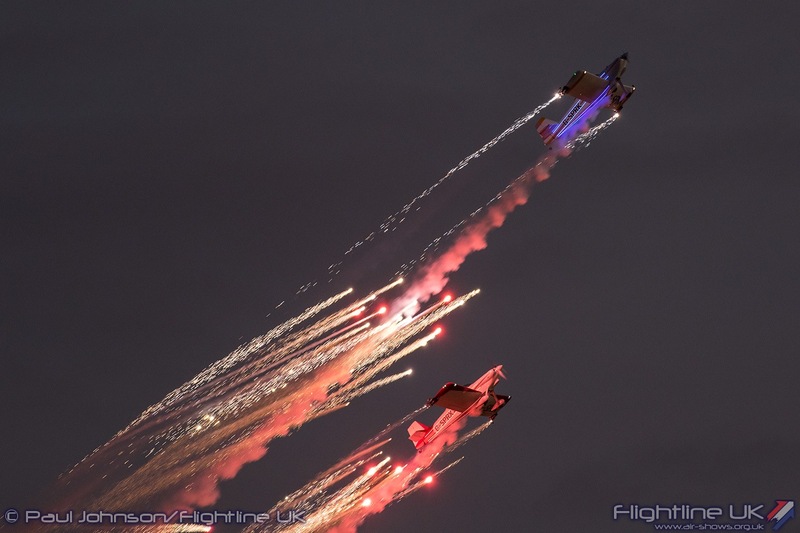 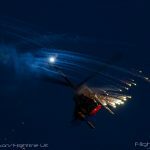 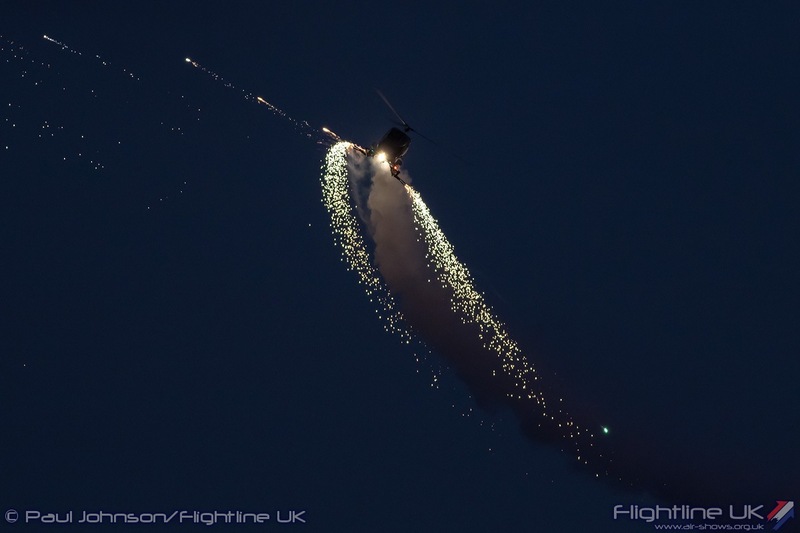 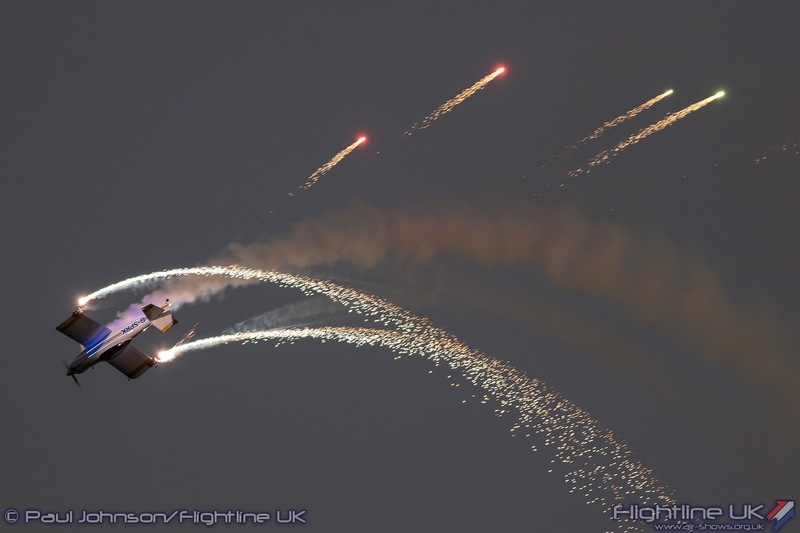 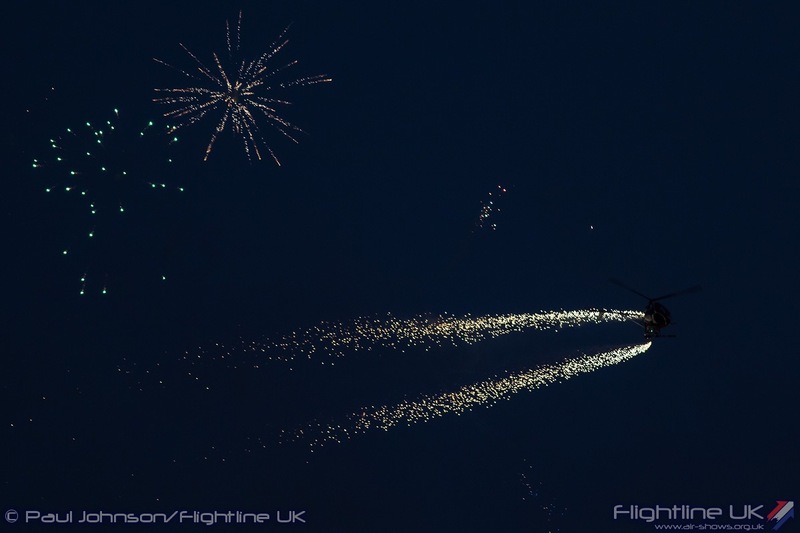 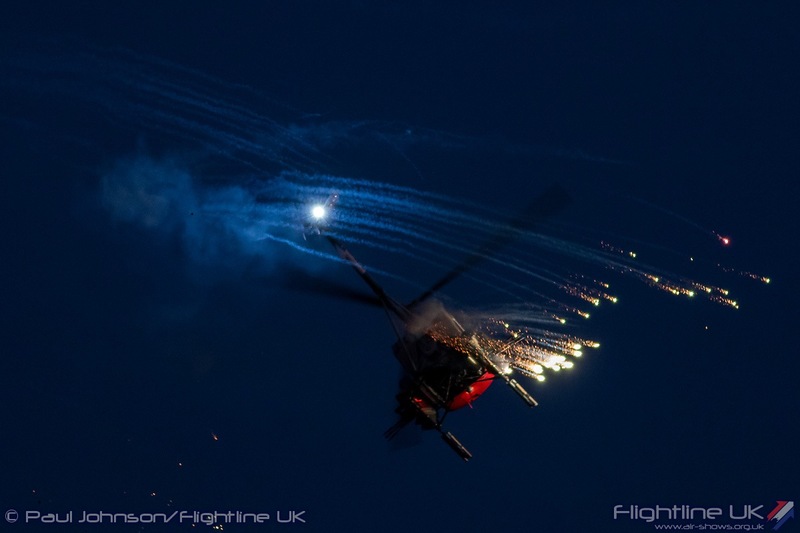 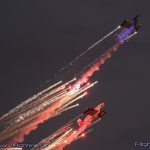 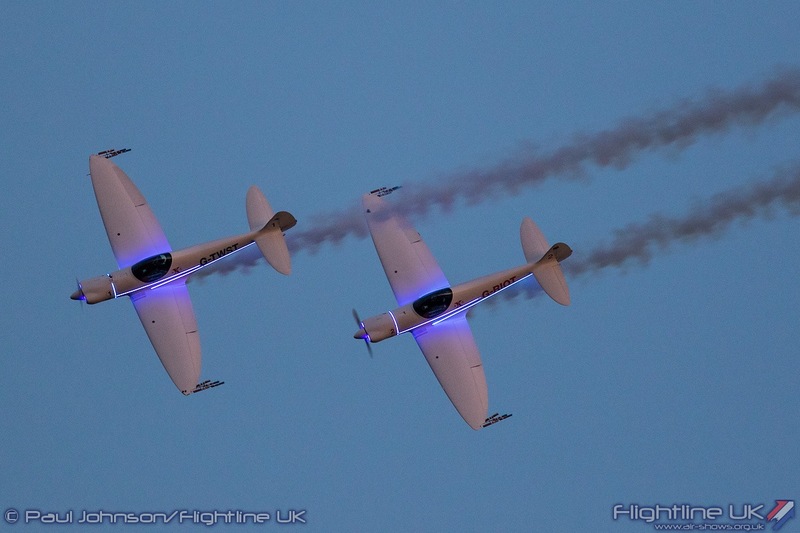 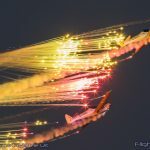 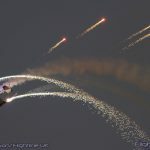 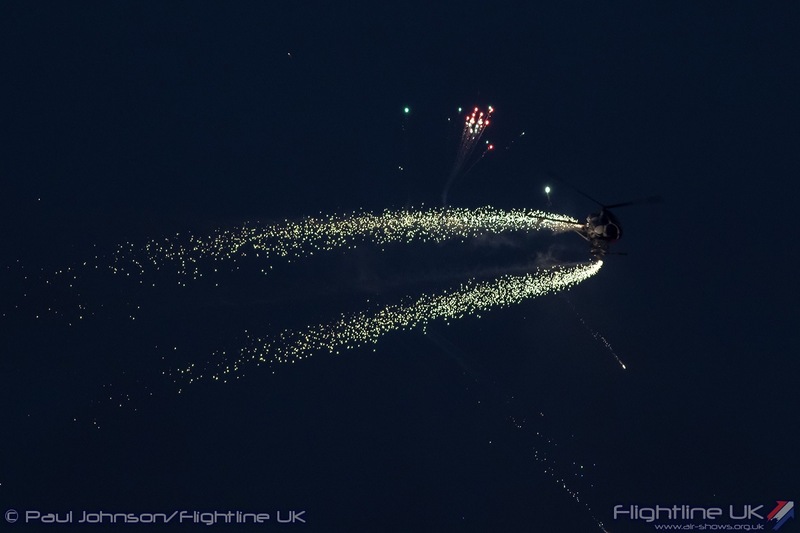 However, it was once again the Thursday evening flying displays that provided the overall highlight of the show. 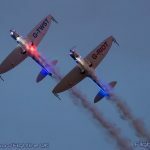 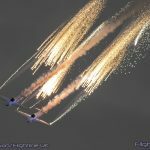 Introduced last year as part of the show’s 25th Anniversary celebrations, they returned this year as they proved just so successful last year. 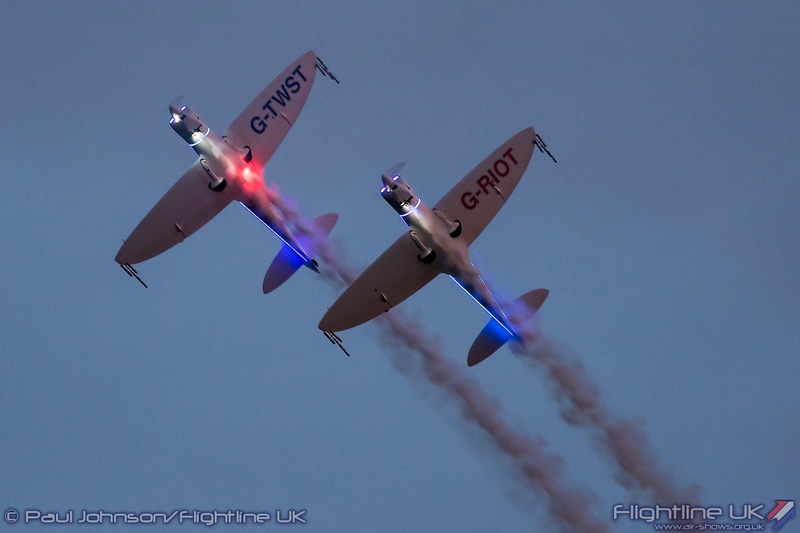 Clacton is just about the perfect venue for twilight displays as the sun sets behind the town and the golden light illuminates the display area. 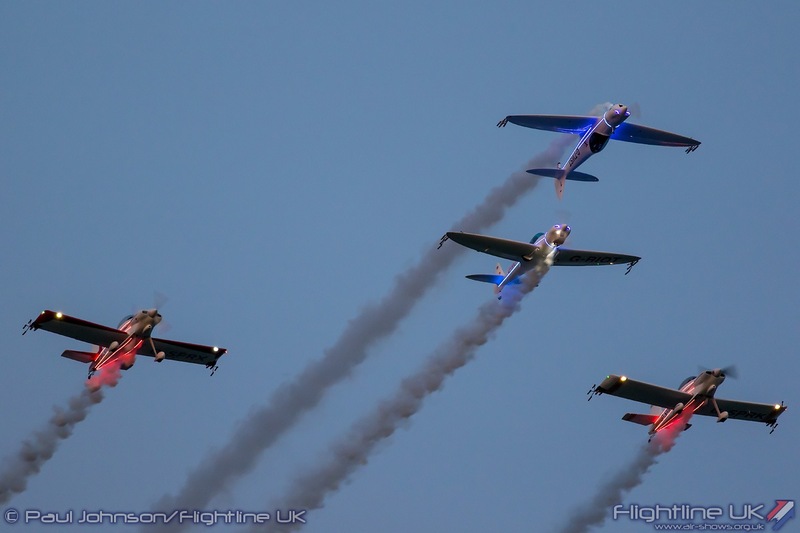 The display featured three different teams and was opening by a really nice joint flypast of the Twister Aerobatics Team and the Fireflies. 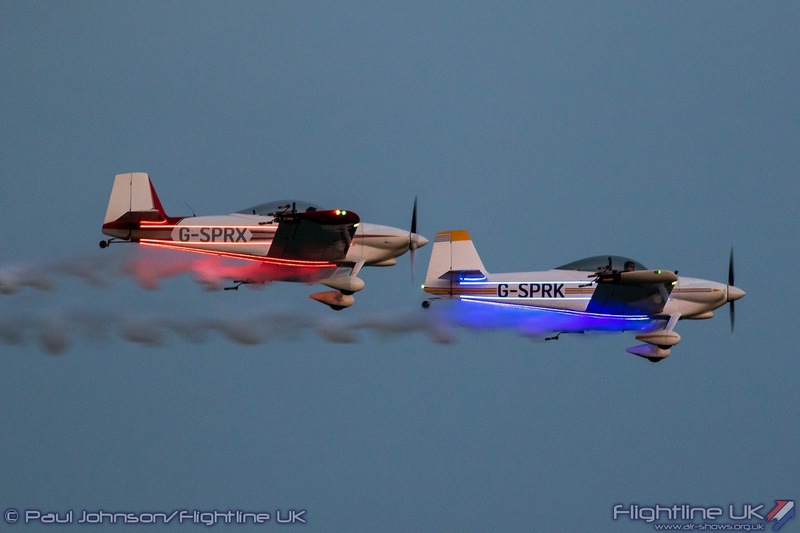 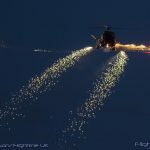 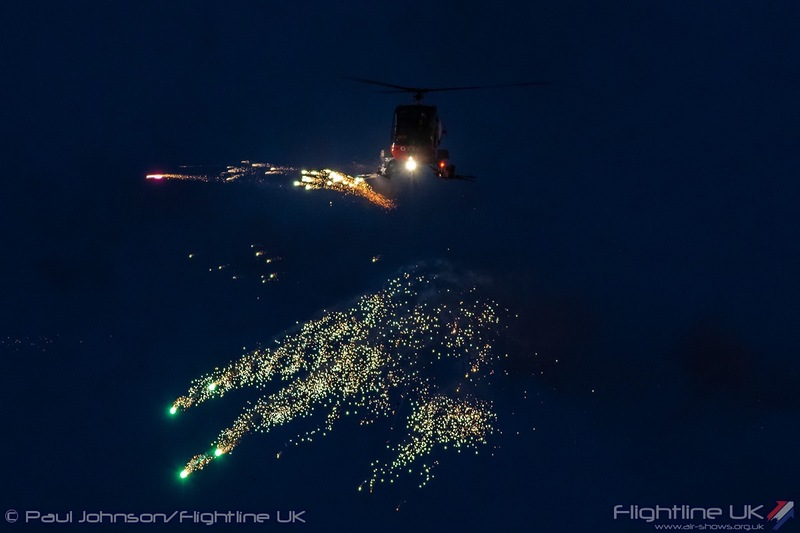 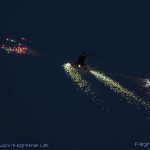 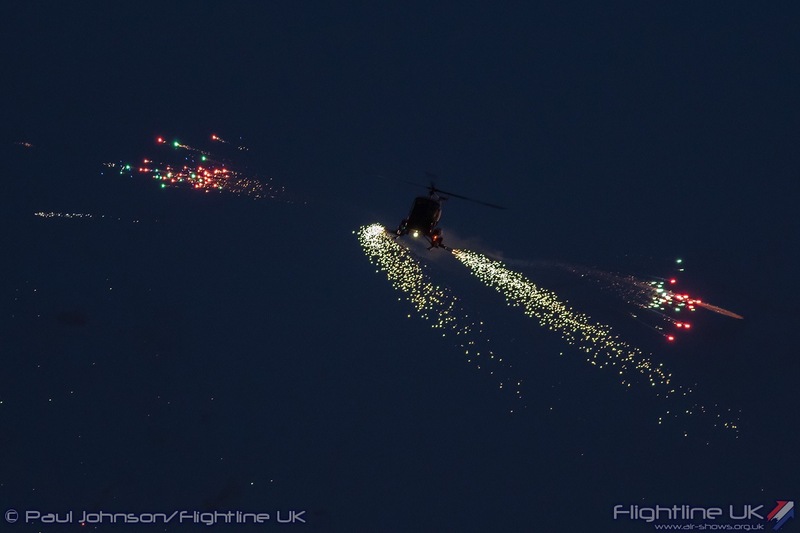 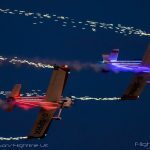 While the teams fly different aircraft, both teams have modified their aircraft with LEDs as well as wingtip mounts for the pyrotechnics. 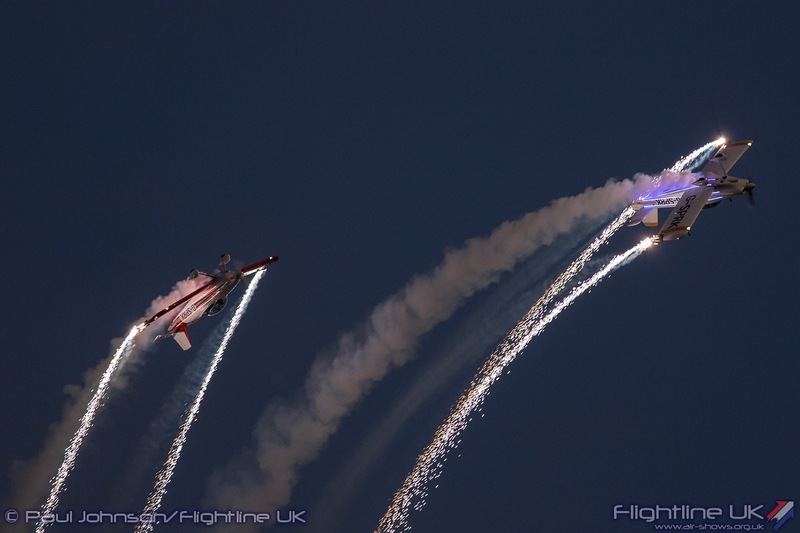 Both team intermixed their displays to keep the crowd entertained as each pair climbed to height before they could release their fireworks. 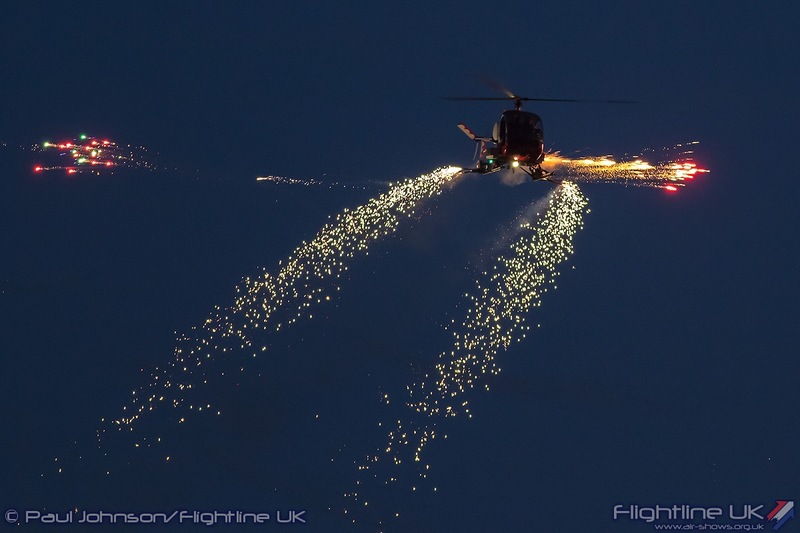 Closing the display was OTTO the Helicopter flown by Brendan O’Brien. 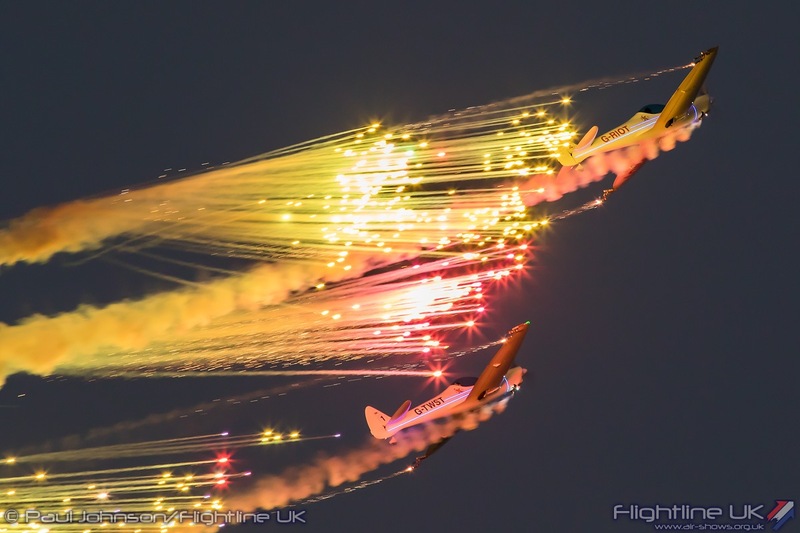 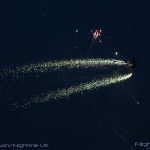 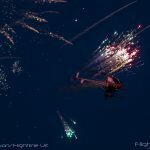 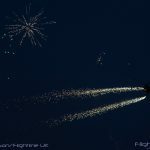 While the Twisters and Fireflies left delicate trails of sparks from their wingtips, OTTO creates a barrage of noise and colour with fireworks going in all directions – super stuff and all three displays really captivated the crowds on the beach, promenades and piers. 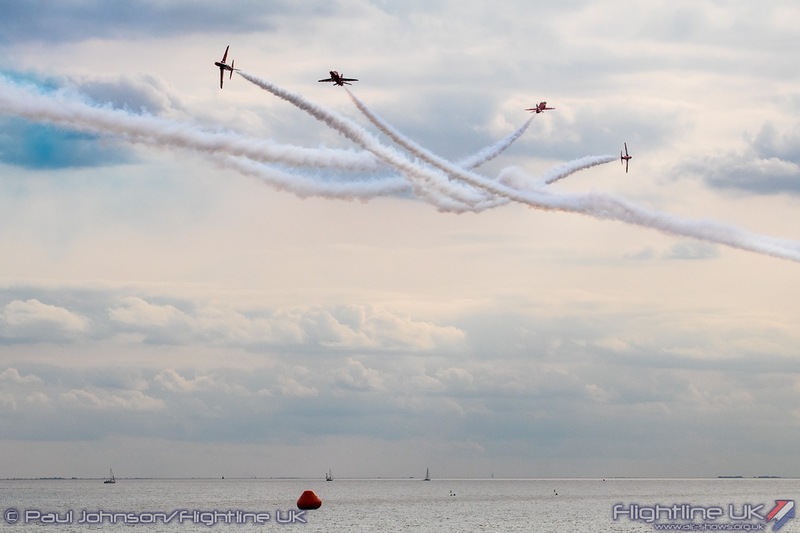 Clacton really put on a fine airshow. 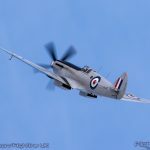 Great weather and some very nice flying made for a great day out or long weekend at the seaside resort.